It had been quite a while that I had not updated my blog. 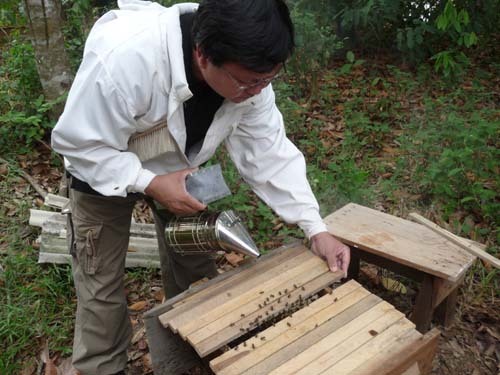 Many things had developed with my beekeeping journey and I am not slowly moving back to Asia. Although I still have my business in Uganda and Rwanda, I have a very reliable beekeeper that will assist me in orgainising my honey from Uagnda and Rwanda. I am not focuing more in Singapore, Myanamar and Nepal. I see myself on a new journey on my beekeeping journey from now on. 4th April 2017 saw myself arrivng first time in Kathmandu, Nepal. A friend has invited me to take a look at the beekeeping industry to see whehter will there be an opportunity for me to explore honey from Nepal. There is defintiely potential for honey in Nepal to be exported out. Below are some pictures on my trip. First batch of trainees for 2012……………………. The year started with a group of very dedicated beekeepers wanting to come to learn more. 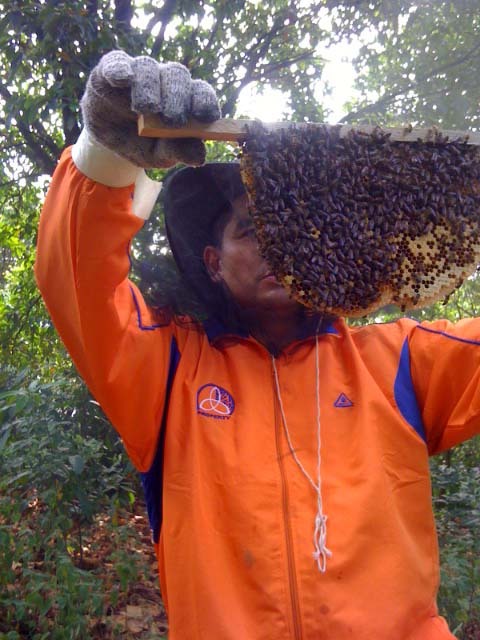 It was a total paradigm shift for them compared to the way they kept their bees back in the villages. We had captured a day during the training. This was how they felt about the whole course. The annual bazaar event held by the International Women Organization was not as vibrant as last year. I was kind of disappointed with the turnout. Somehow we still managed to break-even. With the 31% inflation in Uganda, I would not expect many to spend much too. Anyhow, the show must go on. 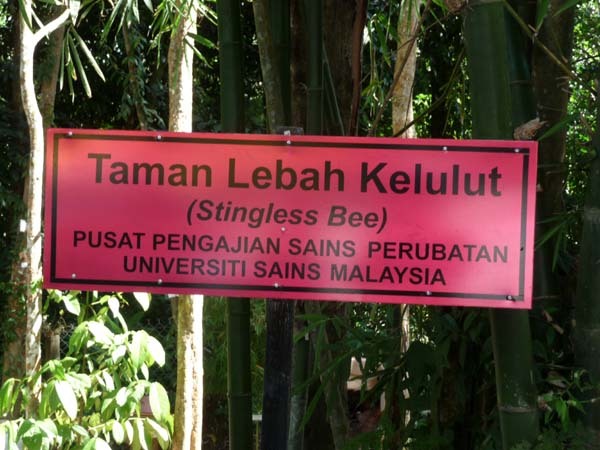 Beekeeping in Malaysia – Bangi, KL (The feasibility study Part 5)……………………. 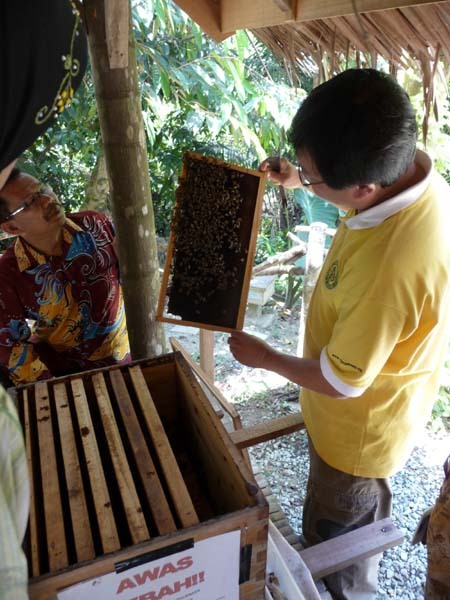 I had an amazing time when I visited Azman, a bee farmer in Bangi, Kuala Lumpur. We started communicating some time last year this time and he knew I was heading to Malaysia this time of the year. He told me I must come visit his apiary and share with me his enthusiasm. 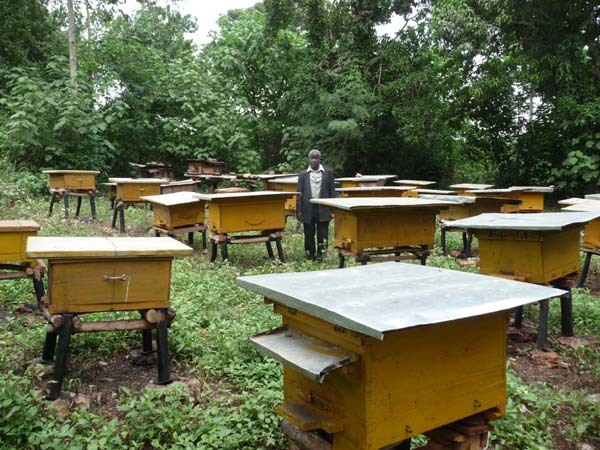 I was really impressed with his achievement and his apiary is the first that I came across that uses Africa beekeeping method, the Kenyan Top Bar hive system. I would not be surprised he is the first in this part of the world that applied top bar beekeeping. This visit meant a lot to me because on this feasibility study, I wanted and needed to know how api cerana will react to top bar hive method of beekeeping. 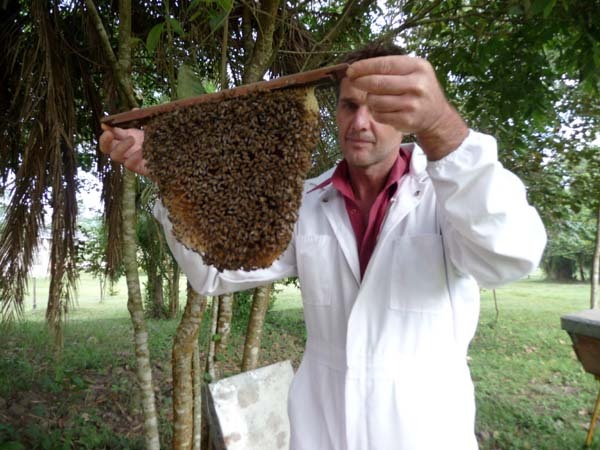 In Uganda, African honeybees do very well with KTB and I am very familiar with the method. I felt like I was back in Uganda when I approached Azman’s apiary. On top of that, I feel that top bar beekeeping is more economical for the local folks. They do not need to acquire expensive langstroth and to buy European bees to start this enterprise. 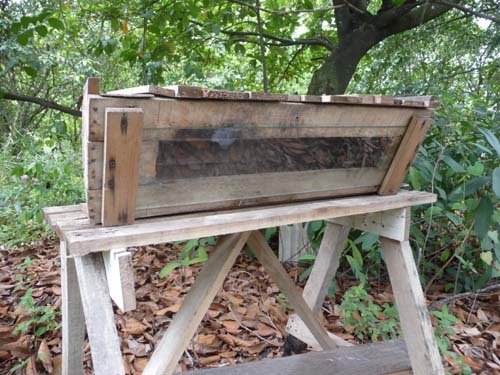 By the way, the cost of 1 langstroth, comes with bees, cost RM1,800 (US$625). 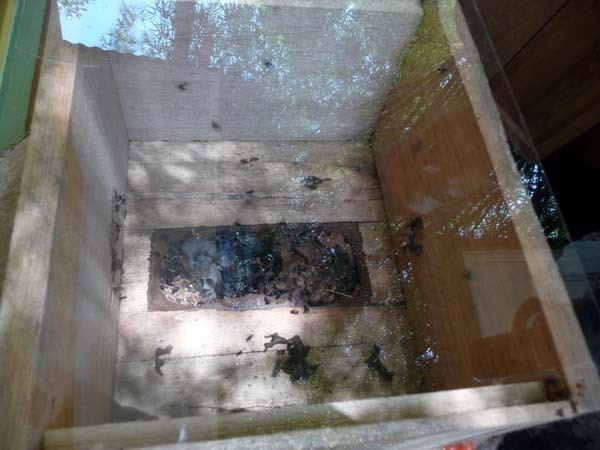 That package provides only the brood box, base board and cover. It does not include the queen-excluder and super. I don’t think many local villagers can afford that kind of money to start the business. I was greeted by a large plantation of star fruit and I am confident that his bees would have no issues on nectar and pollen source. I saw the bees buzzing happily around the flowers only stopping for a moment when there were about to enter the flowers. This was his first attempt in keeping bees and I can say that he was already doing it well although there were some pointers that he needed to look into. 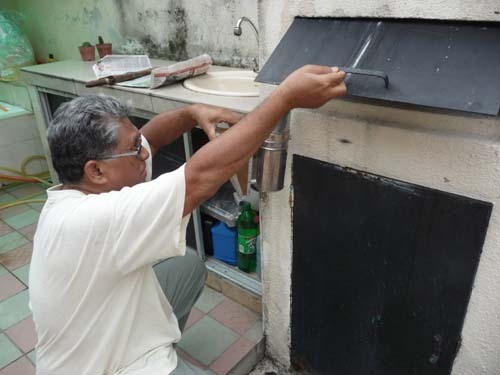 He had teamed up with his friend, Haniz and both are equally passionate about keeping bees. Azman and Haniz with their favorite colony. They started only with one colony. 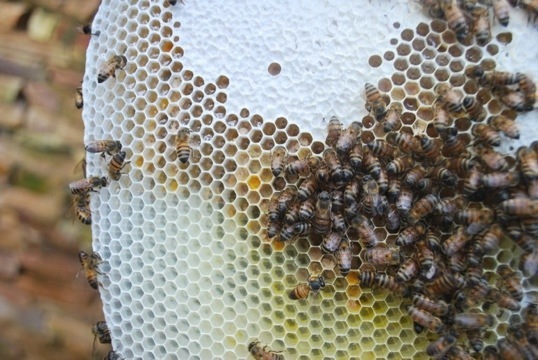 By the time I visited them two days ago, they already had colonized 6 hives. 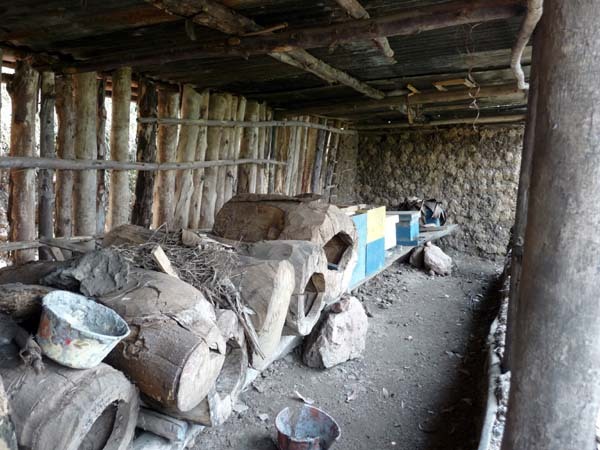 The development of their apiary had set a good example for all. For a start, they did not spend money on buying bees or expensive equipment. They collected used wooden crates and palettes. With no prior experience and based on their own judgment, recycled these planks and palettes into smaller version of the top bar hives. Everything was going through trails and errors. Somehow the bees still found their way to these hives. 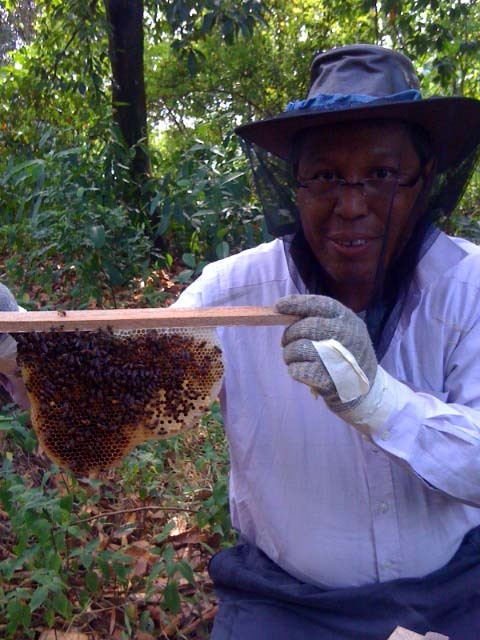 When Azman did his first hive, he wanted to see the activities within. He created a glass window on the side of the hive. This had became his observation hive. Very often he would simply open up the side panel to see these lovely ladies working hard. Api cerana somehow has a bit of her distant cousins (api mellifera scutellata) behaviour. They can be aggressive at times if not handled properly. Azman and Haniz would have to spend more time with them to learn more about their behaviour and to overcome them. Azman had always wondered how do we handle African honeybees without protective gear. I told him it would be much easier because api cerana or asian bees are not as aggressive as the African cousins. 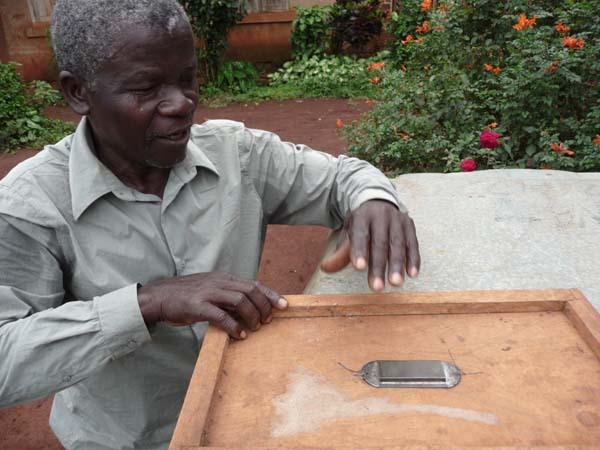 He was pleased when he saw the real thing after having seen my blog during our training program where most of the participants were trained to handle the African honeybees bare hands. Smaller version of KTB compared to the one I used in Uganda. Hive with a side glass window panel for easy observation. Gentle approach is the key to gentle bees. The joy of handling different species from different part of the world. The beauty of api cerana. 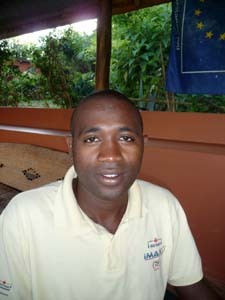 Azman working on another colony. A larger version of the observation hive. 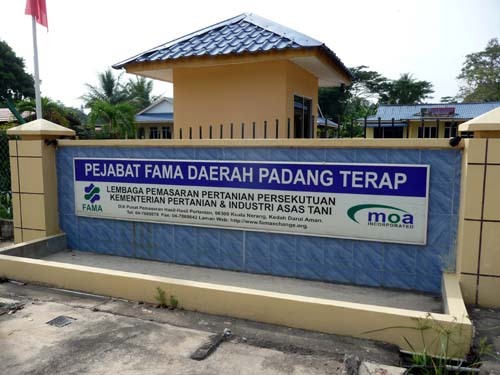 Beekeeping in Malaysia – Kelantan (The feasibility study Part 2)……………………. 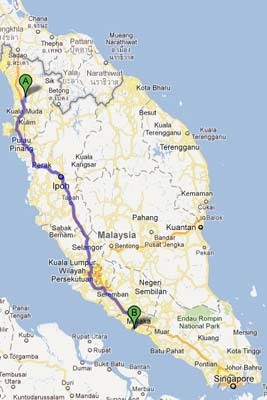 It was a 7 hours drive from Penang to Kota Bahru, Kelantan. The road was challenging with many sharp bends two third of the way. I put on my safety belt after what I had experienced in March. The bus was traveling at 120km on a 70km speed limit road. I just prayed that I can reach there in one piece. 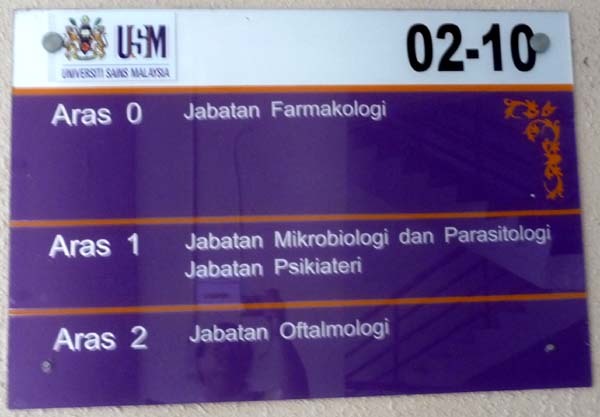 Universiti Sains Malaysia, medical research department. My first visit in Kelantan was the University of Science of Malaysia (Universiti Sains Malaysia). 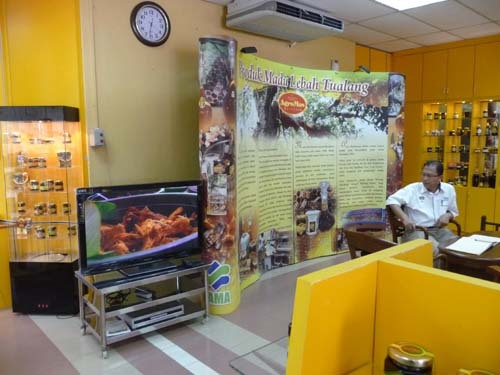 This is where all the research on the medicinal values of honey in Malaysia were done. 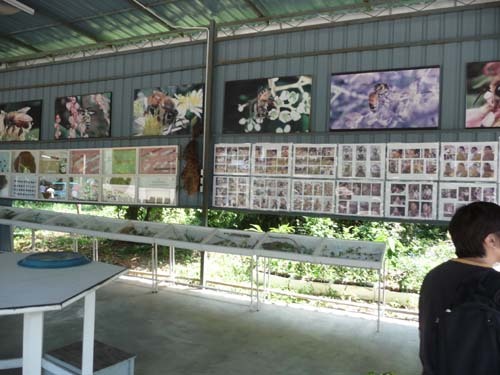 A number of honeybee species found in Malaysia . Mainly they are the “Apis Dorsata”, “Apis Mellifera”, “Apis Cerenas” and “Trigonas”. Currently they are also working on a type of honey harvested in their traditional honey hunting method by their local people, (Orang Asli). They called it, “TuaLang” honey. I had seen many places selling this brand of honey and they are selling like hot cakes now. 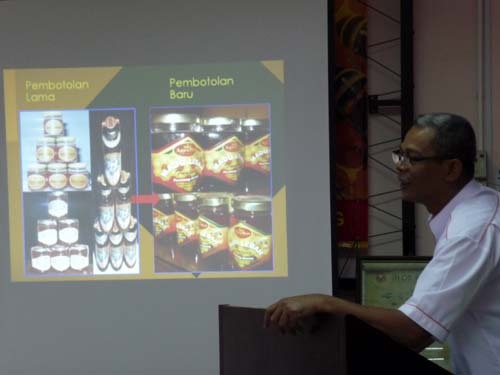 This feasibility study had made me understand more about the honey industry in Malaysia. There were so many issues one can never imagine. There are more to it than meets the eye. Just going into the second day, I began to see the similarities between Malaysia and Uganda when come to this industry. 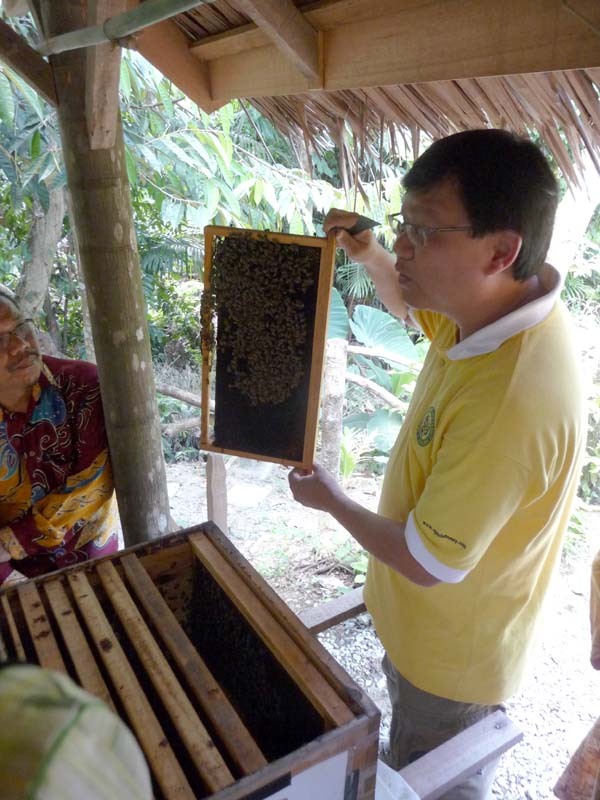 Honey hunting is still the predominant method used among the local community or the “Orang Asli”. The only difference was that in Malaysia, they need to climb very tall trees (Tualang tree) to harvest honey from Apis Dorsata while in Uganda, honey hunter collect honey from crevices, ant hill and hollow trunks. Although it was the fasting month and usually this is the most busy part of the year, all the Professors and researchers were very helpful and I left the place with all the information needed for my study. Later in the day I was invited to a local who kept honeybees for their outward bound education camp. Finally after one month, I was introduced to these ladies in Malaysia. Professor Dr. 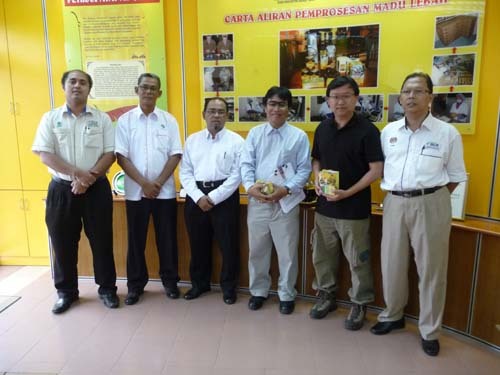 Nor Hayati Othman and her team of Professors and Researchers at Universiti Sains Malaysia. 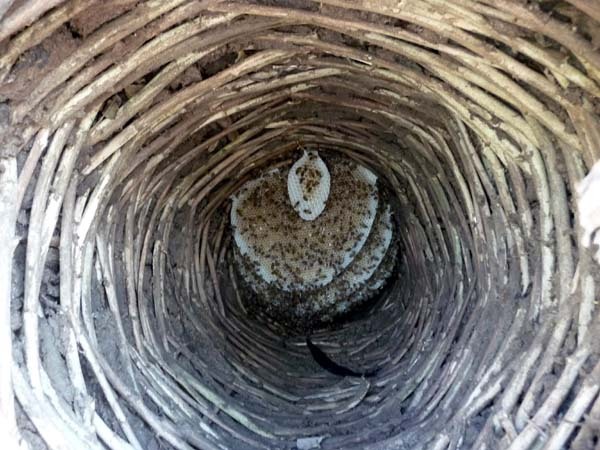 Entrance to a stingless bee colony. Explaining the harm caused by human if honeybees were not handled correctly. Observing the more nasty cousin, apis ceranas. Entrance to the stingless bees apiary. Top view of a stingless bee colony. August 16, 2011 Posted by Lesster | apiculture, bee colony, bee hive, Beekeeping, beekeeping journal, beekeeping training, Sustainable Beekeeping	| Apiary, beekeeper, commercial beekeepers, http://www.youtube.com/watch?v=nAu8rhxjkrg, malaysia beekeeping, pure honey, trigonas stingless bees, tualang honey, uganda Honey, universiti sians malaysia | Comments Off on Beekeeping in Malaysia – Kelantan (The feasibility study Part 2)……………………. 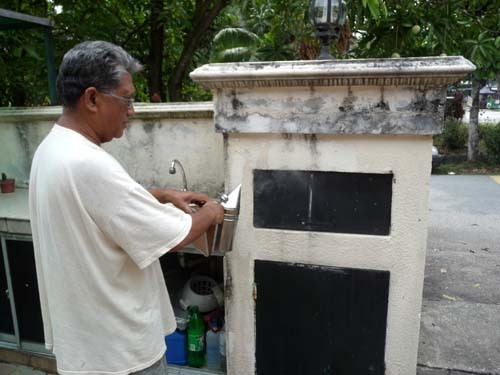 Beekeeping in Malaysia – Penang (The feasibility study Part 1)……………………. 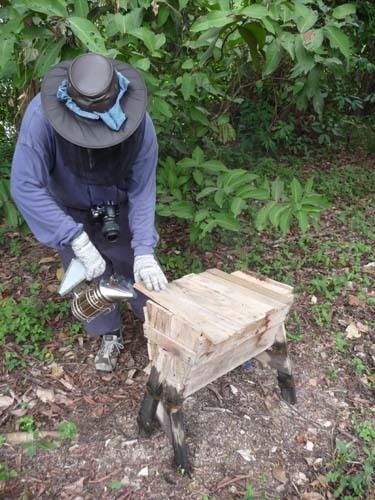 Before my feasibility study officially starts next Monday, my hands were already itching, not from bee stings, but getting ready for my hands on with the beekeeping industry in Malaysia. 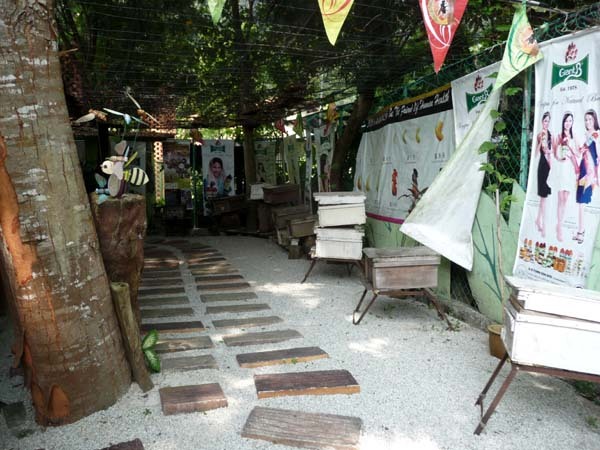 My first encounter with bees is visiting a tourist destination in the middle of Georgetown, Penang. 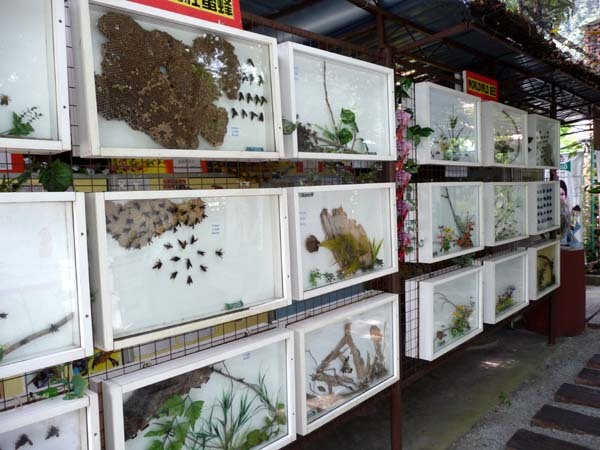 Its called the “Bee Gallery”. 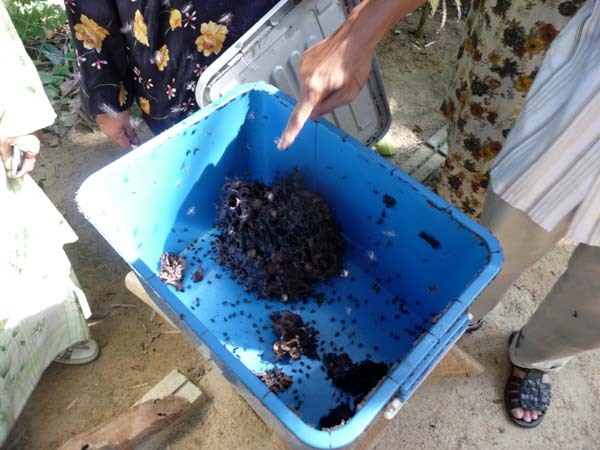 Here you can see the various types of bees found in Penang. 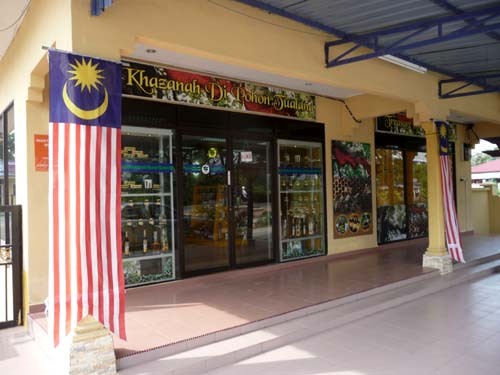 I realized that this place belongs to Mr Ong, who has another tourist attraction located at Malacca. 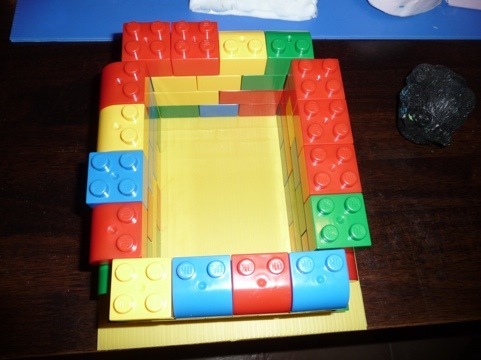 Somehow the set up was similar but on a smaller scale. There were two sales ladies manning the shop. They were basically there to answer simple questions about honey and to introduce the different kinds of honey available for sale. Other than that, you would not be able to get in depth questions being answered. I was surprised to get this information from one of them. She mentioned that only hornets and wasps venom can kill, not honeybees. She even assured me that honeybees venom are not poisonous and has healing properties. Well, I felt that this information was very misleading. She was right and wrong at the same time. All of us react differently to bee venom. Some can take a few thousand stings but others can be killed with only one sting. Some react violently to the venom and can go into anaphylactic shock which can lead to death if not attend to immediately. 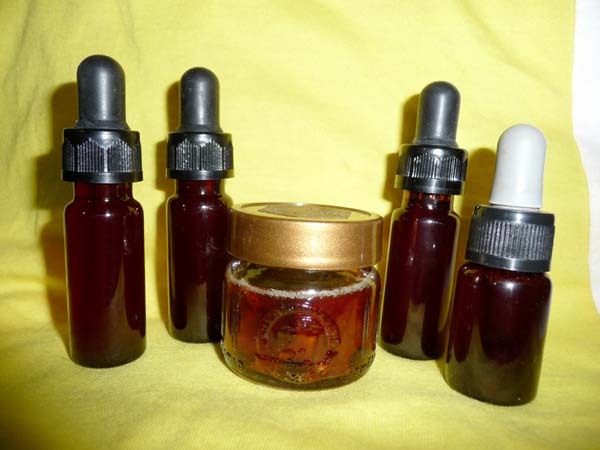 There are some medical benefit being investigated regarding honeybee venom in relation to apitherapy. Some Therapists use honeybee venom to relieve people who have arthritis. But that does not mean the honeybee venom can be applied to everybody. Many people in Asia I came across, often believe what these sales ladies say. They would simply take their words for it without probing further. I asked a few more questions and then decided to stop because I knew it would be pointless for me to pursue further. They had a row of beehives on display. 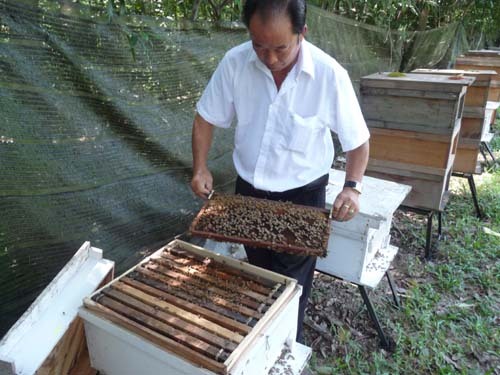 Only 2 hives were occupied, one with an Italian species while the other colony is a species commonly found in Malaysia. They are called “Trigonas”. These bees are also called “stingless bees”. 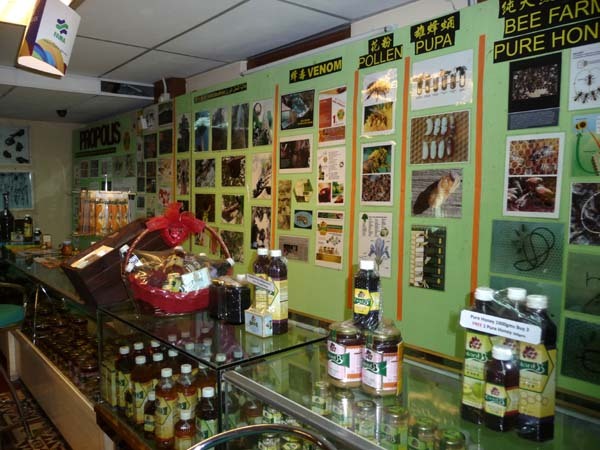 This place do have a great varieties of honey and its by products. Its educational approach was somehow comprehensive enough for laymen. Anyway, many would not know what sort of questions to ask. Overall presentation was good. But somehow, I felt that the sale ladies should upgrade themselves with better and correct knowledge in order to provide more in depth information for the customer to understand. I felt there is too much emphasis on trying to sell the product. A very good effort made to educate public on the different types of bees. Information comprehensive enough for laymen. 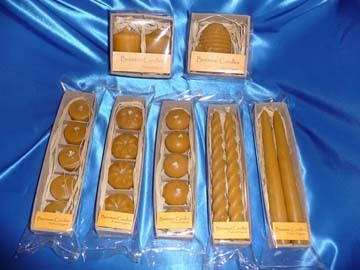 A number of choices for honey and its by products. 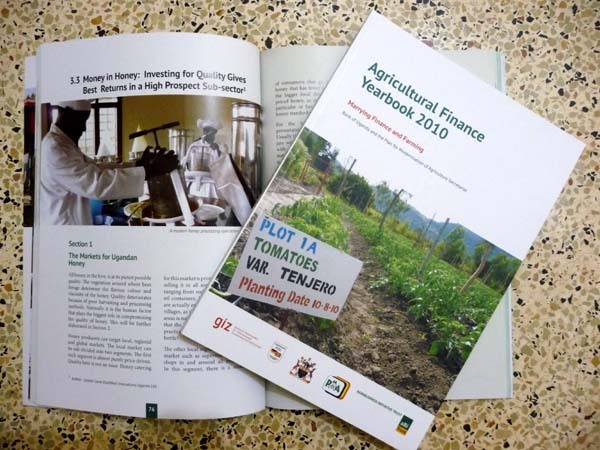 Agricultural Finance Year book 2010……………………. 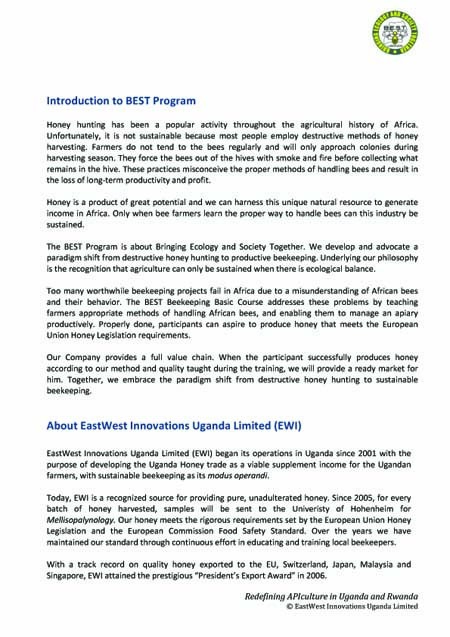 Beginning of this year, I was commissioned by Bank of Uganda to write an article about the honey industry in Uganda. It was meant for their year book for 2010. It had been published and I had duplicated it for all to read. 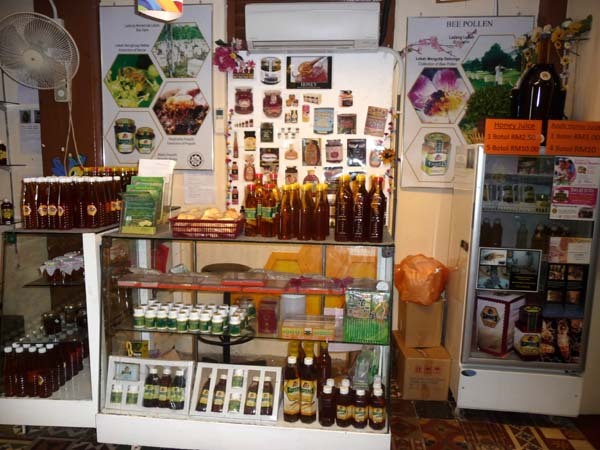 In this article, you will have a better insight about the honey business and its potential. All honey, in the hive, is at its purest possible quality. The vegetation around where bees forage determine the flavour, colour and viscosity of the honey. 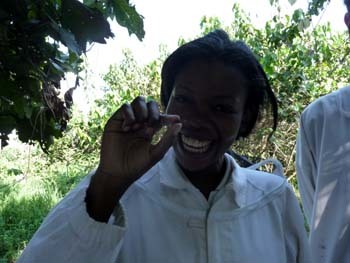 Quality deteriorates because of poor harvesting and processing methods. Normally it is the human factor that plays the biggest role in compromising the quality of honey. This will be further elaborated in Section 2 below. 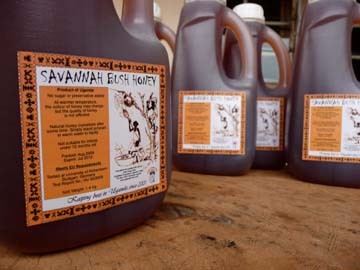 Honey producers can target local, regional and global markets. The local market can be sub-divided into two segments. The first such segment is almost purely price-driven. Quality here is not an issue. Honey catering for this market is promoted by street vendors, selling it in all sorts of reused packaging, ranging from soda bottles to used cooking oil containers. Some foreigners or tourists are actually enticed by these vendors in the villages, as they believe honey sold in rural areas is natural and unadulterated. To prove that the honey is pure, the vendors have a practice of dropping a dead bee inside the bottle! The other local segment caters to the retail market such as supermarkets and sundry shops in and around all major districts. In this segment, there is a small group of consumers that go for higher quality honey that has fewer impurities. 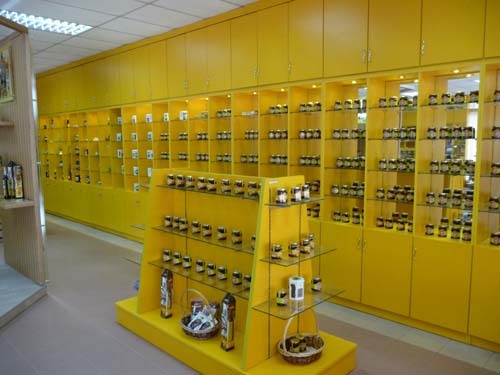 However, the bigger local demand is still for low priced honey, as most consumers are not particular or have little knowledge about honey standards. For the higher-priced retail market, presentation and packaging are important. Usually the honey is packed in new plastic jars with a net weight of 500g. Of late, with an increase in choice of packaging materials, honey is also packed in smaller quantities of 100g and 250g. Retail prices, locally and regionally, hover around UGX 3,800 to UGX 5,000 per 500gm. 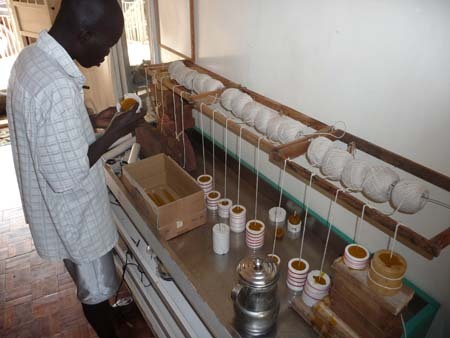 Regarding export market, honey from Uganda is said to be exported to the European Union and the Middle East. However there are no official statistics for this market. 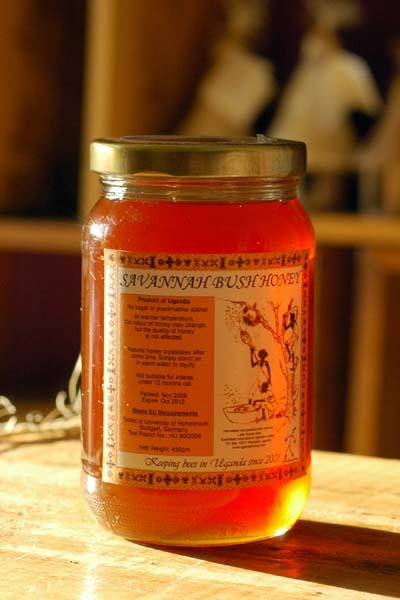 It is believed Ugandan honey is exported by a couple of companies in small quantities, directly to niche retailers, instead of being exported in bulk. The quality of honey for the export market must be very high. For exporting to European Union countries, the honey has to meet the European Union Honey Legislation requirements (http://eur-lex.europa.eu/ ). The important aspects buyers look into are the country of origin, pollen spectrum, flavour, enzyme activity, moisture and sediment content. 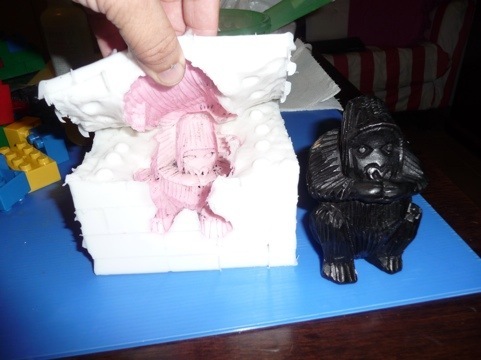 Packaging for such niche markets varies according to the buyers’ requirements. It can be in airtight buckets of 25kg or in individual jars, as specified by the buyers. Bulk export is usually packed in food-grade drums of 300kg. 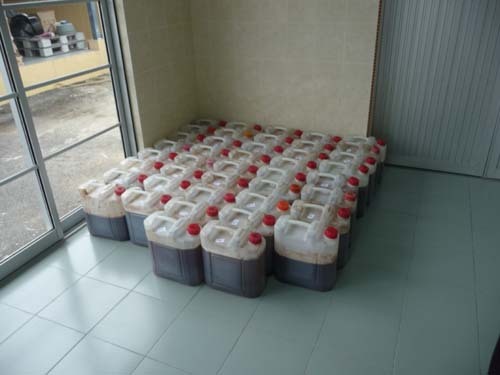 Currently the price for bulk honey is between US$1.20 – 1.30 per kg (CIF). The minimum required quantity for bulk export is a full container load of at least 20 tons. 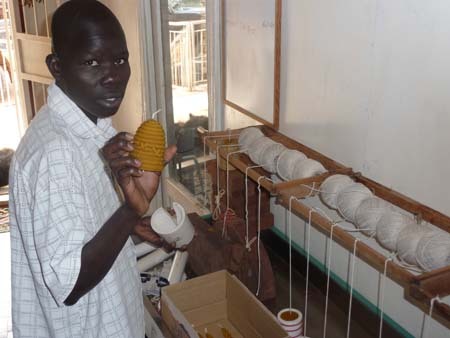 At present, Uganda’s honey industry is still at the infant stage. Nobody yet has the capacity to tap into the bulk export market. 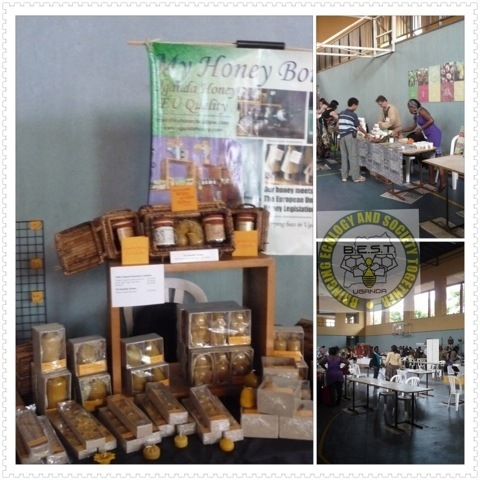 For the basic local market, honey is mainly sourced from honey hunters and traditional bee farmers. 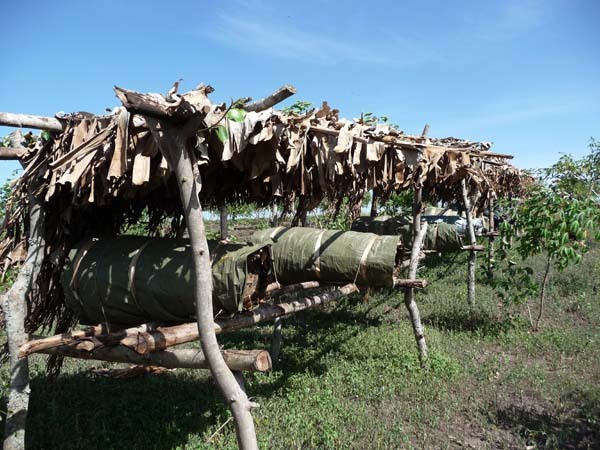 Honey hunters get their honey from wild bee colonies in anthills and hollow tree trunks, while the traditional beekeepers own a few beehives made out of local materials such as rattan and logs. 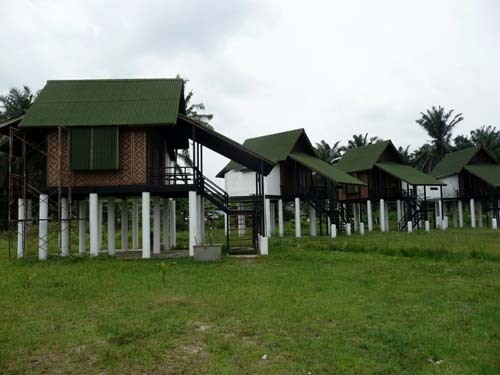 There are also a good number of modern beehives given by donors and funded projects. 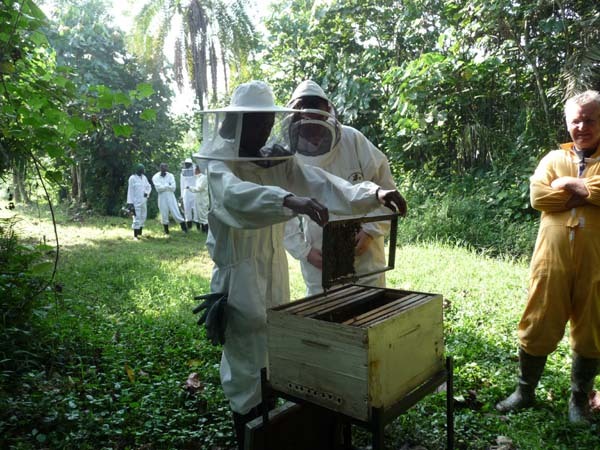 Both the honey hunters and traditional bee farmers got their knowledge of beekeeping from their forefathers and practise destructive methods of honey harvesting. 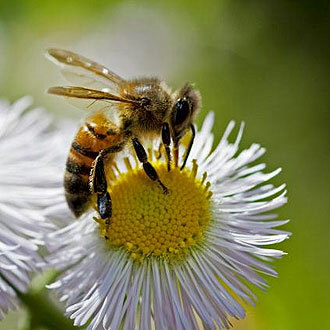 They do not tend to the bees regularly and will only approach the colonies during harvesting season. 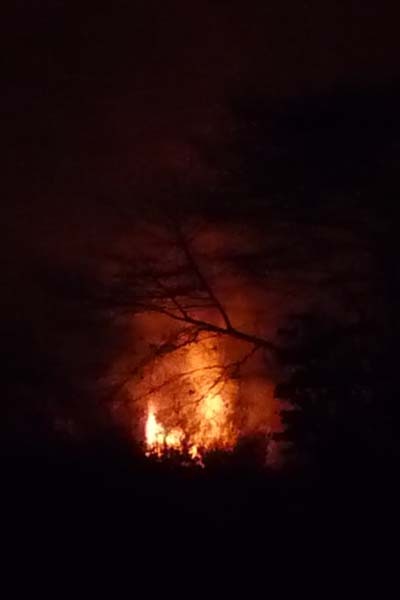 They force the bees out of the hives with lots of smoke and fire before collecting whatever remains in the hive. 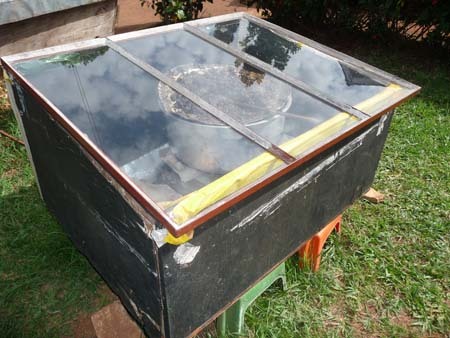 The honeycombs with brood, beebread, ripe and unripe honey are then squeezed with bare hands or unhygienic equipment. Some will even boil the honey to separate honey from the wax. Investment for players in this sector is minimal. Both the producers and sellers make use of whatever they can get hold of and no expensive equipment and training are required. For the local and regional retail market there are also more commercially-minded producers. 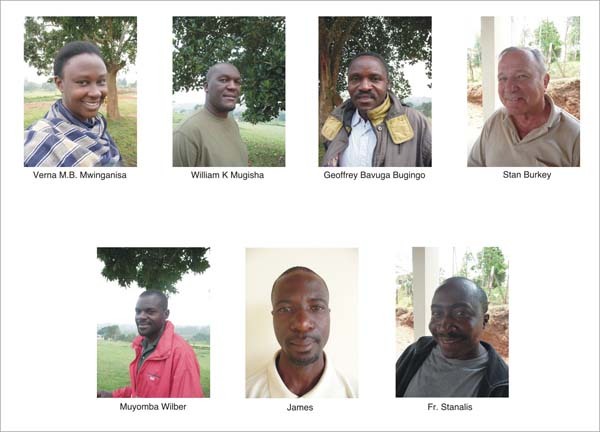 Some are traditional bee farmers and some are members of beekeeping associations, who have gone through a form of training. They usually sell their honey to traders or packers who add value by packaging before selling to retailers. There are a significant number of players involved in this segment. Packers are normally not beekeepers themselves. Middlemen will travel to villages to buy from various sources and resell at some centralized market in town. Most packers purchase from these middlemen, filter some of the impurities from the honey, pack and label for retail sales. Little or no testing and minimal quality control of the honey is involved. The packers only need to invest in simple filtering equipment, plastic jars and labels. Investment in improving the presentation of the end product is important, as many different brands compete for attention on the same retail shelves. Although the packaging has improved, the quality of the honey varies greatly amongst different brands. 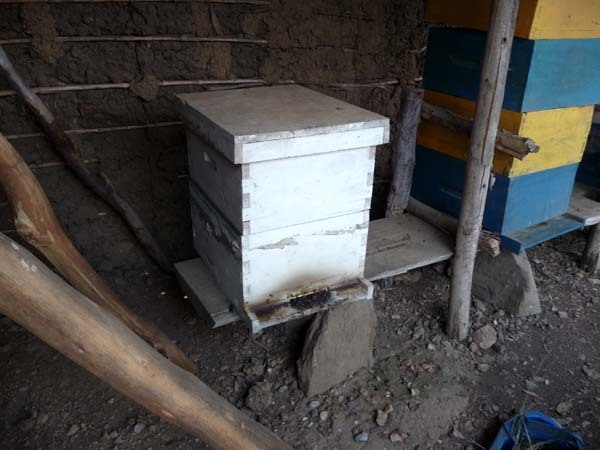 Though some of the producers have undergone training and have acquired modern beehives such as Kenyan Top Bar hives or Langstroth hives, most of the training is done in classrooms without any actual interaction with the bees. 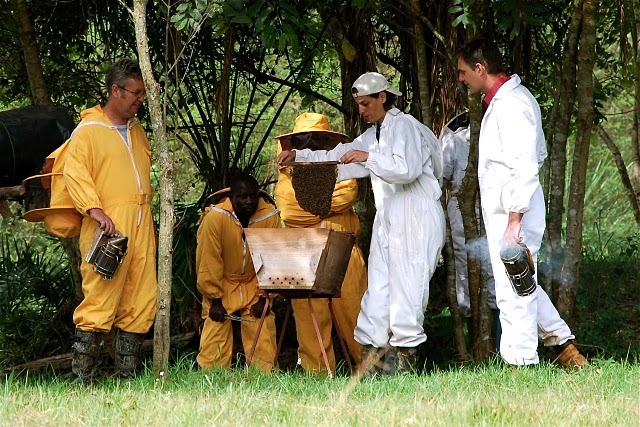 The lack of hands-on experience in handling the bees catches most beekeepers off-guard when they encounter the aggressive behaviour of the African bees face to face during their first harvest. This has led to the development of fear of the bees and subsequently these apiarists revert back to the destructive mode of harvesting. 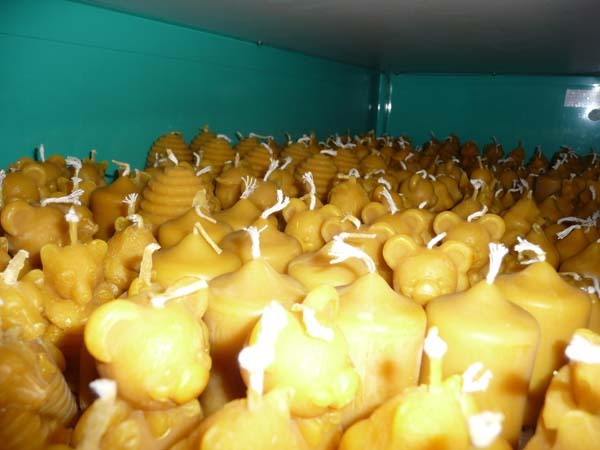 This will result in dead bees, burnt grass ashes and melted wax being mixed together with the honey. As such, the quality of the honey will still be compromised, despite the investments in training and the use of more expensive hives. Often the emphasis is on short term profitability of the business, without any education on the importance of proper handling of the bees for longer term productivity and profit. This is just like putting the cart in front of the horse. 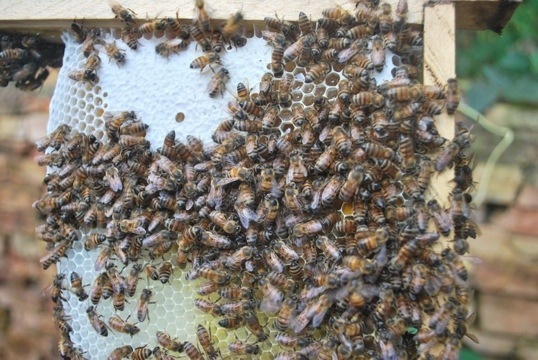 Bee farmers should recognize the bees as an important asset in their honey business. They have to understand how to work harmoniously with the bees in their natural environment, rather than fighting against the bees. It is only when they can calmly work on the bees that they will abandon the hit-and-run approach of harvesting. 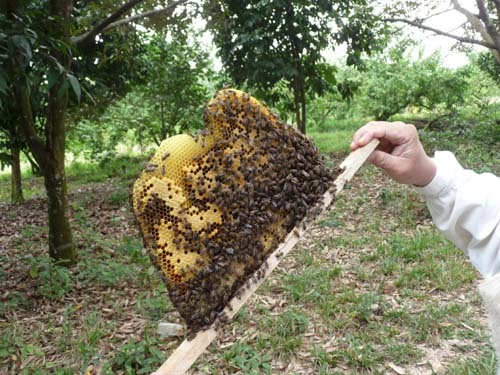 They can then harvest correctly, maintaining the quality of the honey. When the process is right, the outcome will be right. Profitability will follow when the honey quality and yield improve. For bee farmers and beekeeping associations that pack their own honey for retail sales, improved training will equip them to do quality control and produce higher quality honey. However, non-beekeeper packers who buy their honey from middlemen have absolutely no control over the quality of the honey. They buy whatever is available during that period. Even if some good quality honey is produced at the source (i.e. 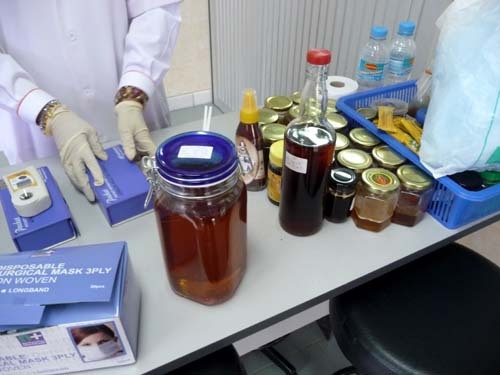 by the bee farmers in rural areas) there is no way to prevent adulteration, mixing with other lower quality honey or improper handling by the many hands through which the honey passes. For the export market the investment is much higher both in training and equipment. In order to maintain best quality, all involved have to be acutely aware of the consequence of not doing the right thing. Any mistake along the way, starting from the very source inside the hive, through the harvesting, processing and packaging, will lead to the honey failing to meet the stringent requirements for the export market. As such, even after the initial training, beekeepers and refinery staff have to be constantly reminded, monitored and re-trained to ensure they follow the proper procedures. Bee farmers must harvest only ripe honey, using the proper harvesting method to ensure the honey is not laden with excessive smoke and ashes. At the refinery, the honey extraction, filtering and packing has to be carefully controlled. Throughout the chain of activities, the honey has to be handled with clean equipment and stored under proper conditions. 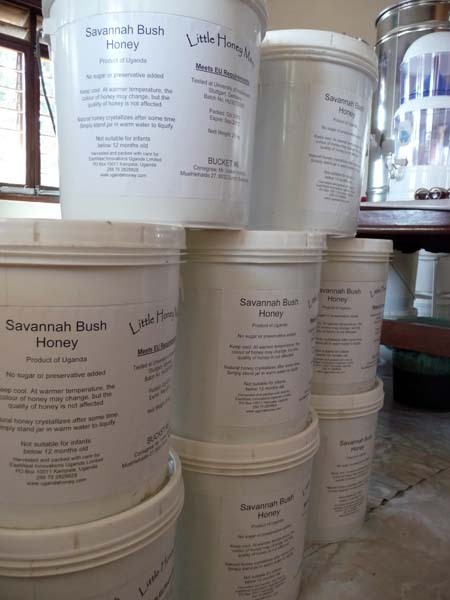 Although the investment in honey processing equipment is also higher for exporters, the bulk of the investment actually needs to be set aside for training and follow-ups as people are always the deciding factor in maintaining the quality of the honey. 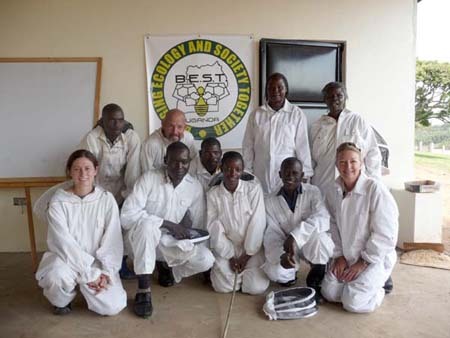 Most of the beekeeping training courses which are currently available in Uganda are only acceptable for producing for the local and regional markets. In order to fulfill the more stringent requirements for the export market, exporters will have to work closely with their outgrowers, to the extent of developing a monitoring system or database to keep track of the farmers and of their performance. Close supervision of all departments involved will ensure that the required level of competence is achieved. 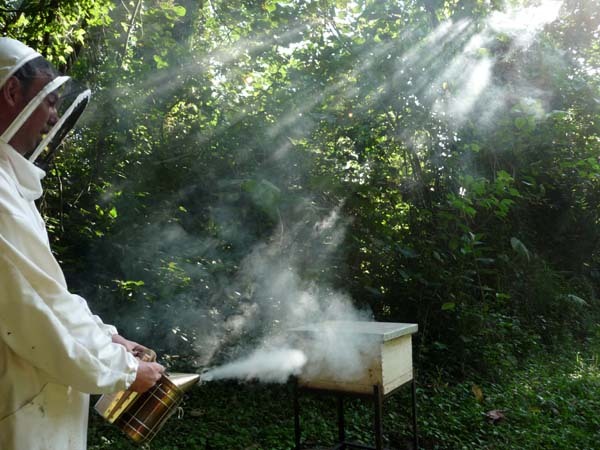 There is no magic figure in starting beekeeping. 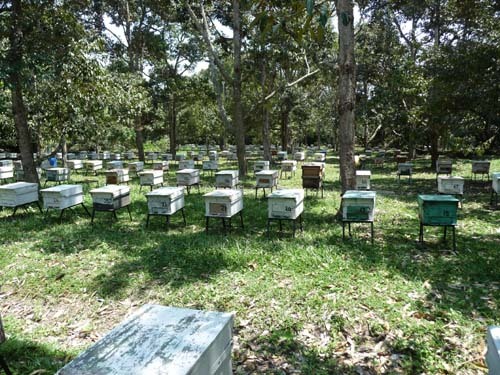 The numbers of hives one can maintain depends on the competency of the beekeeper, the land available to him or her and the vegetation surrounding the land. 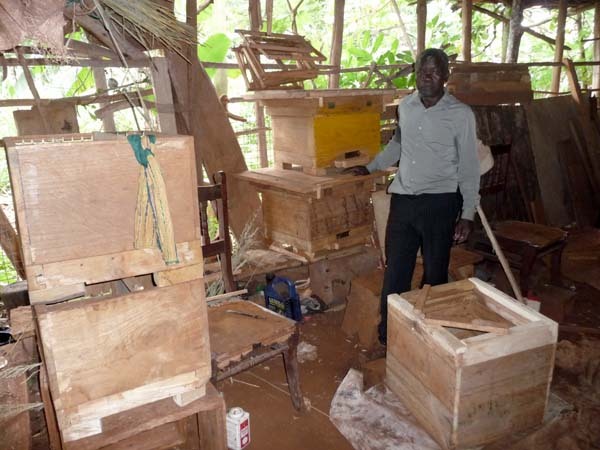 For discussion purpose, we look at a typical smallholder beekeeper with 20 hives that are colonized. Now we shall compare the costs and income achievable using different kinds of hives. It usually takes about 18 months for a new colony to fully build up its strength and produce to capacity. Small harvests are possible in the first year, but this will be excluded in the calculation below, as it is not certain that production in the first year will be achieved. 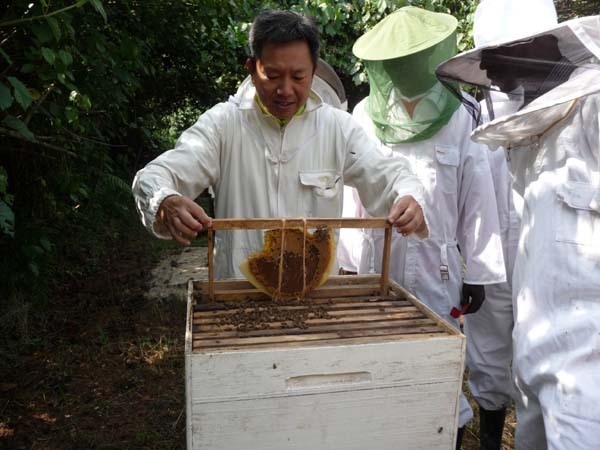 To use the Langstroth beehive effectively, a much higher beekeeping skill level and precision hive construction are needed. This is to ensure productivity over a number of years, to realize the benefits of the considerable investment involved, upfront. 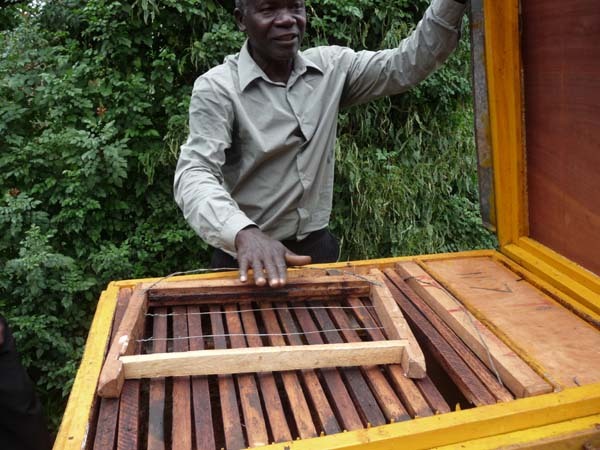 With the current conditions in Uganda, traditional and Kenyan Top Bar hives are still the more recommended methods of beekeeping. With improved knowledge, skills and close monitoring of the activities of the bees, harvesting can be done on a more regular basis and thus yield will increase. 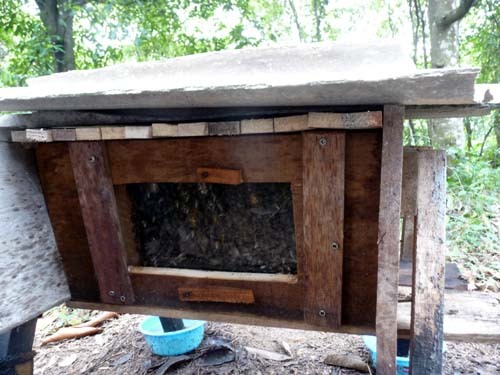 Also, in the rural areas where properly dried timber is not available, KTB and Langstroth hives will warp after a short while and create problems for the beekeepers when handling the bees. They will also be difficult to maintain and repair. 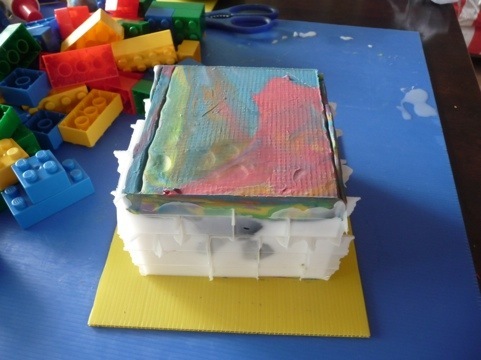 Using local materials available in hive construction is more appropriate. To start an export honey operation, one can choose to be involved in the upstream activity of beekeeping, or to concentrate on trading. In the discussion below, we are looking at the operations of an exporter who does not engage in beekeeping itself. 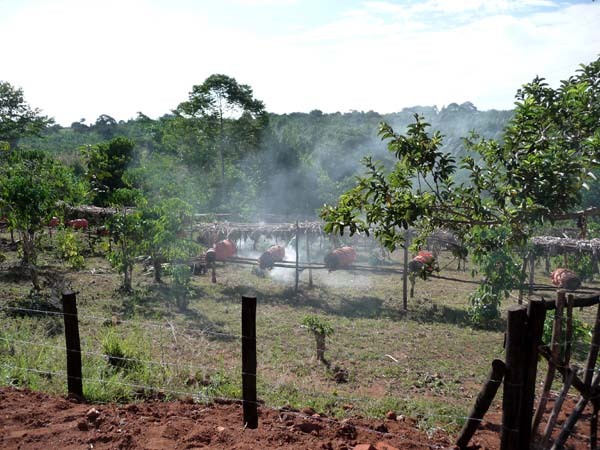 The company will buy directly from the outgrowers, process the honey and pack it for export. The main field of operation will be sourcing, processing and marketing. There are two kinds of export in which one could be engaged, small scale and bulk export, respectively. Honey extracting equipment, stainless steel settling tanks, filtering equipment, airtight buckets, clean refinery & storage building, pickup. The cost can range from UGX 50,000,000 to UGX 150,000,000, excluding the building. Forklift truck, food grade drums, palettes, honey extracting equipment, stainless steel settling tanks, filtering equipment, airtight buckets, clean refinery & storage building, truck. The cost can range from UGX 300,000,000 onwards, again excluding the building. Expansion of a refinery can be progressive. One can invest in the minimum initially and add on more of the same equipment as production increases. Usually, companies will start with small-scale export. Once they secure more honey and orders, they can easily switch over to bulk export operations by adding on some other equipment. Whatever they have already invested in will not be wasted, as the assets are still applicable in the new operation. 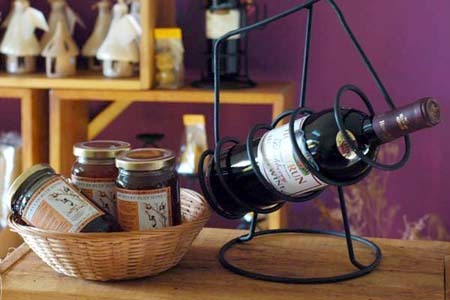 At the moment, the local and regional demand for honey far exceeds the supply. In fact, local and regional prices are more attractive than those achievable for bulk export, at world honey wholesale prices. At the same time, the investment for a bulk export operation is quite substantial. Thus bulk export is not the most profitable option at the time of writing. Small-scale export to niche markets that command higher product prices is a more attractive choice to start with. As written in Section 2 above, the investment in training and education will be much higher than the investment in hardware. It is difficult to quantify this software investment as it varies with the level of professionalism of the staff and moreover is an on-going investment. 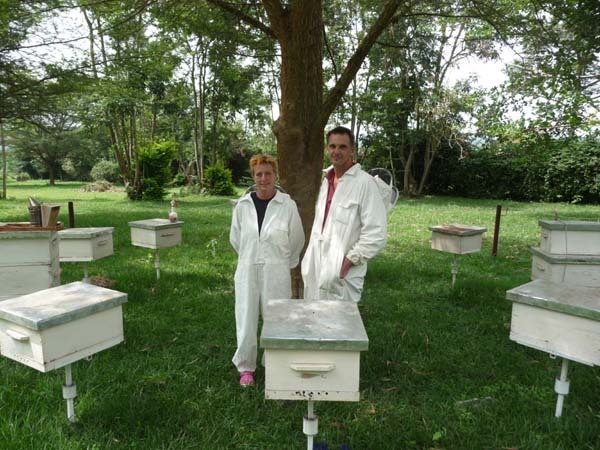 It is only during the last ten years that the beekeeping industry is slowly gaining attention as an additional income generating activity for the growing number of farmers who have small land plots. The local land inheritance culture of dividing land among one’s sons is causing plots to be split into smaller portions. Beekeeping becomes a viable enterprise for such small landowners, as it takes up less space compared to agriculture or animal husbandry. 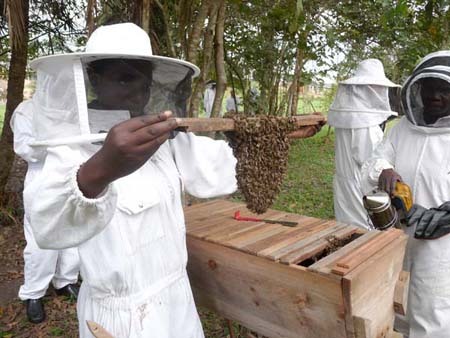 This newly-noticed industry is not well understood by banks in Uganda and they have not developed any special schemes to cater for beekeeping activities. They will assess any loan request using standard policies and procedures. The following is a summary, from the point of view of a honey producer. a) Financing Equipment: For companies engaging in honey production and processing, asset-financing arrangements are possible with some general equipment such as generators and vehicles. However, banks would be more reluctant to provide loans for equipment that is specific to the beekeeping industry, such as refinery equipment and beehives. They will only consider loans for such specific equipment if there are other assets to secure it. Risk is much higher due to the limited resale market for such items. Also, for production equipment like beehives, it will be almost impossible to repossess once the bees colonize the hives. b) Working Capital: Unlike equipment loans where the equipment itself is an asset with some value as collateral, banks are more stringent in facilitating loans for working capital. The usual procedure would require the borrower to use assets such as land, buildings or fixed deposit as collateral to secure the loan. They will also look into the past years’ cash flows and performance of the company in deciding the payment terms. Interest rate is in the high 20% – 30% range. An alternative for companies without suitable assets as collateral would be contract financing, whereby, with a firm order secured from a buyer, the exporter could negotiate for a temporary loan using that as security. Unlike businesses such as manufacturing where business activities are more evenly spread out through the year, honey production is seasonal. The huge amount of money needed to buy the honey during the one or two seasons a year poses a great strain on most companies’ cash flows. With contract financing, once the exporter ascertains the amount of honey their out-growers can harvest for the season, they can liaise with their buyer and bank for such a financing arrangement. The money released in advance by the bank makes it possible for them to pay the outgrowers for the honey, process and ship it to their customer. 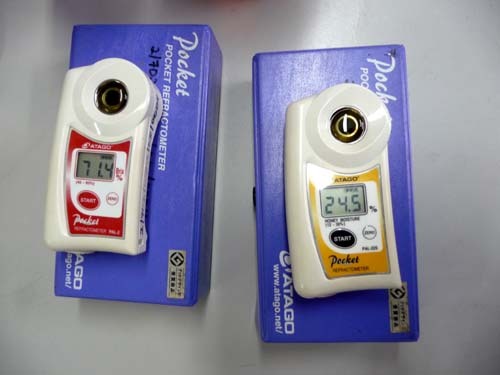 The exporter will incur less interest expense with contract financing, compared to the case with unsecured finance, which in any case is extremely difficult to obtain in Uganda. c) Financing for Smallholder Producers: Local banks are receptive to opportunities to provide financial services to out-growers supported by a processor / exporter. Many banks are coming up with low cost savings accounts and are opening branches upcountry to tap into this market. However, the monthly bank charges may still be too taxing on beekeepers who may receive income only once or twice a year. Also, any loan packages come with the unaffordable interest of more than 20% and a short repayment period. 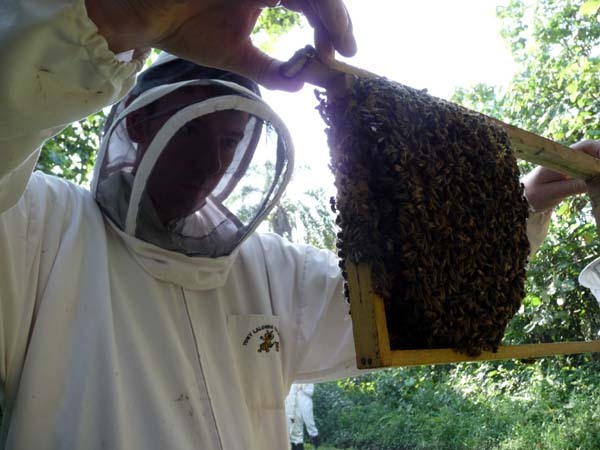 Beekeeping is unlike most other agriculture or animal husbandry activities when it comes to the investment and return schedule. Almost all the investment is made in the initial period and the returns only start to be generated 18 months later. However, the beekeeper can reap returns for many years thereafter with minimal maintenance investment. If this situation is understood by the banking sector, and they develop special loan packages that take all these unique characteristics of beekeeping activity into account, then it would be viable for the outgrowers to tap into financing by the banks. 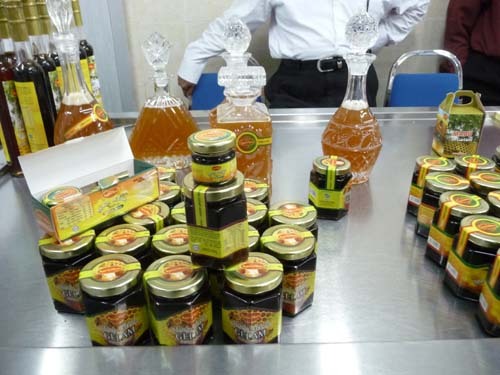 The Ministry of Agriculture, Animal Industries and Fisheries has been making efforts to support the honey industry by assisting commercial beekeepers and stakeholders with permits for bee transfers and veterinary certification for honey exports. 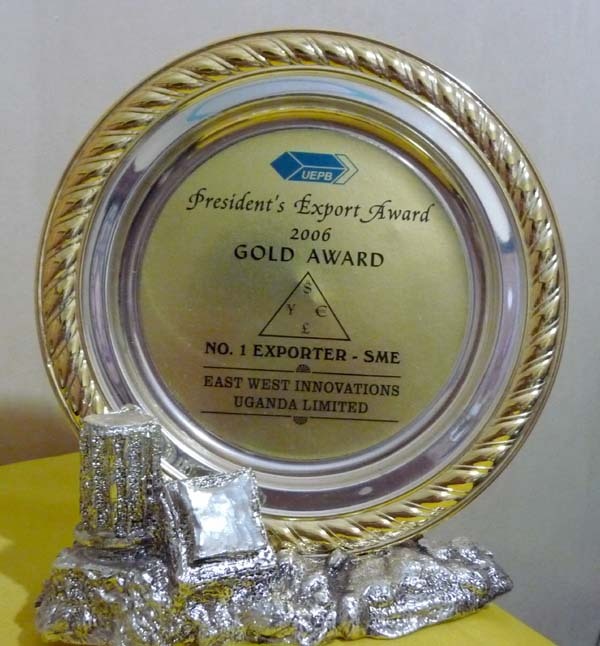 The Ministry of Trade and Tourism and The Uganda Export Promotion Board also issue different certificates essential to any export of honey, while the Ministry of Finance allows tax exemption on imports of honey processing equipment and packaging. All these greatly help in advancing and developing this industry. It would be an added boost to the development if all the necessary permits and certificates could be processed in a one-stop location. Not only is it more efficient for the exporter, it will be easier for Uganda to compile statistics regarding this industry. With more information and feedback, the Government can then formulate policies that will enhance the growth of this industry. 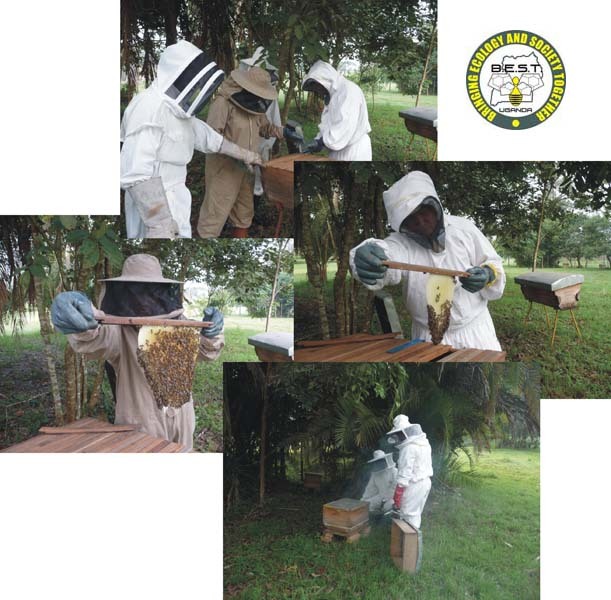 The National Agricultural Advisory Services (NAADS) Program provided some farmers with beehives and training. There is room for improvement in the quality of the provisions though. With the setting up of ApiTrade Uganda, an organization dedicated to supporting the beekeeping industry, Uganda is trying to provide a regional link for producers, buyers and equipment suppliers. They organized ‘Apitrade’, a honey conference / exhibition that acts as a platform for interested players in the industry to meet. 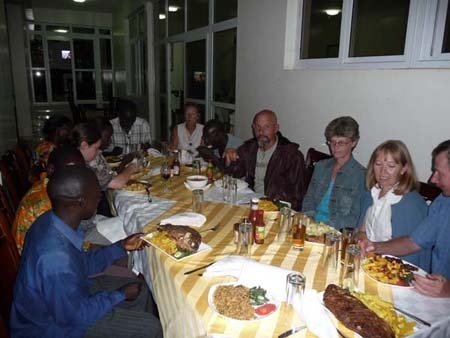 It is held once every two years in different African countries; the first was in Uganda in 2008. This year, 2010, Apitrade is hosted by Zambia and in 2012 it will be in Ghana. Author: Lesster Leow, EastWest Innovations Uganda Ltd.
 See also Article 4.2 in this Yearbook for a more complete discussion of bank financing linked to forward sales contracts. 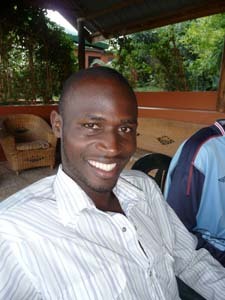 Apitrade Africa is a private Organization set up in Uganda to facilitate the honey industry, (www.apitradeafrica.org). Anybody who wants information about the honey industry must join as a member in order to get assistance. Get me to the church on time……………………. 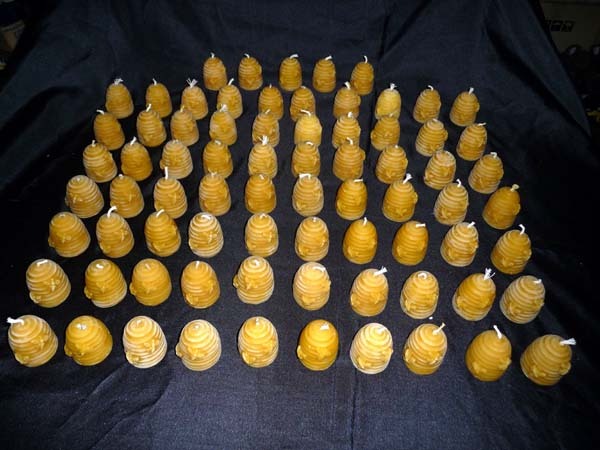 Finally after one and half month of melting, molding and working round the clock, these candles are ready to leave home to attend a wedding banquet in Canada. Not long ago, farmers were not aware of the by products from honey farming. They used to throw honey combs away after extracting the honey out of it. 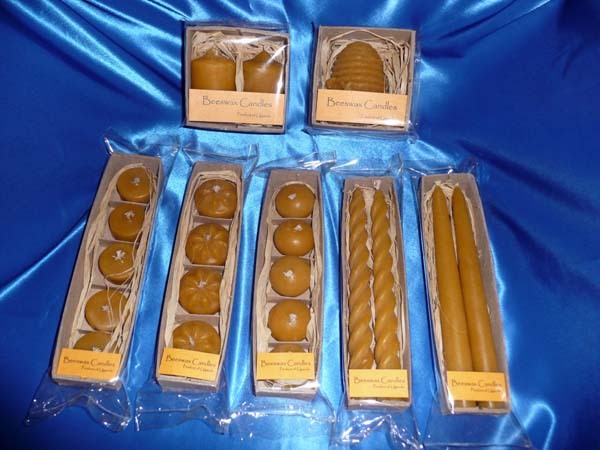 Today, not only they knew that beeswax are so useful in various aspect, it is also another form of income generating component. 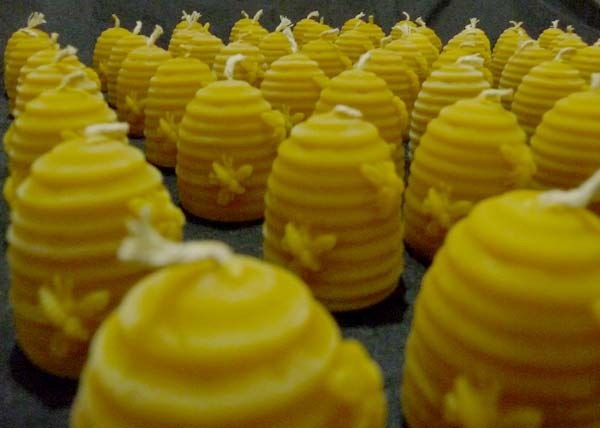 With proper education and guidance, they now understood the value of beeswax. 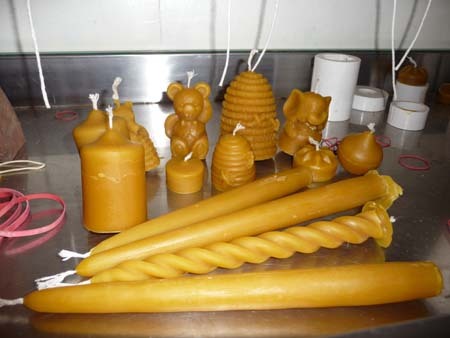 To top it all, burning beeswax candles are more environmental friendly than burning paraffin based candles. Petroleum based candle gives off toxic fumes. The finished product looks good and the process looks simple but behind the scene, the hardship of one has to go through, many will not understand. 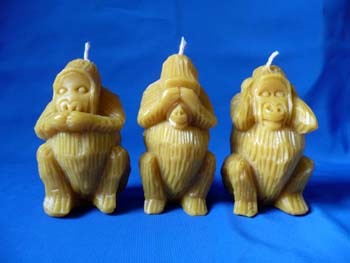 Working with Ugandans are like producing these candles. 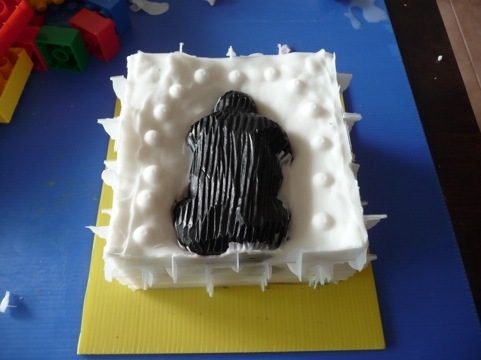 You have to mold each and individual with time and patience, one at a time. Went to see the queen……………………. Over the weekend, I drove up to the village to see whether I could save that colony that had their queen mutilated. Whenever I come to know of these happenings, I feel sad. On one hand everyone in the beekeeping world is talking about the disappearance of bees, the colony collapse disorder, viruses and diseases affecting them, but on the other hand, teaches African farmers how to mutilated, deface and destroy the queen in the name of professional beekeeping. Hypocrite! I used to keep quiet about what I saw on the ground, how many failed projects with abandoned hives and equipments but I reckon this has to stop. If no one is going to stand out to tell the world what is actually happening in the honeybee industry in these developing countries, I can foresee in no time, the last remaining frontier where the honeybees are still living in their own natural ways, will be wiped out by the human race because of greed. I am not slapping my own face as a commercial beekeeper, but I believe strongly that I can still live harmoniously with them and yet able to provide two meals for my family from the income generated from honey farming. Watch the clip and see how stressed the queen was and the fate of this colony. She was not even making any effort to escape from my hand. Her fate was sealed. New journey about to begin……………………. Lately there hasn’t been much activities here other than my regular training of beekeepers. 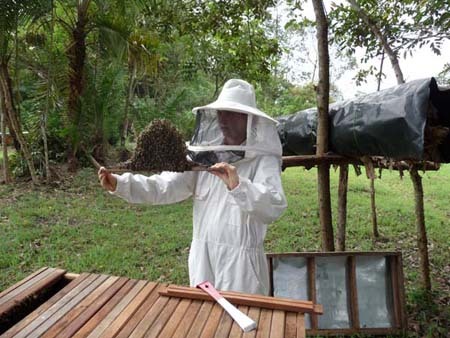 Comes next month, my beekeeping adventure and journal will begin for the first time nearer to home, West Malaysia. 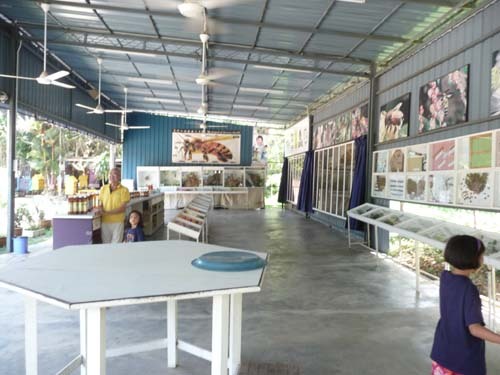 After a year of discussion and planning, the feasibility study of setting up a bee education centre at Kampung Temasek in Johor Bahru, Malaysia will begin. I had already began my ground work, arranging visits to bee farms, centres and making appointments to meet agriculturist at universities. 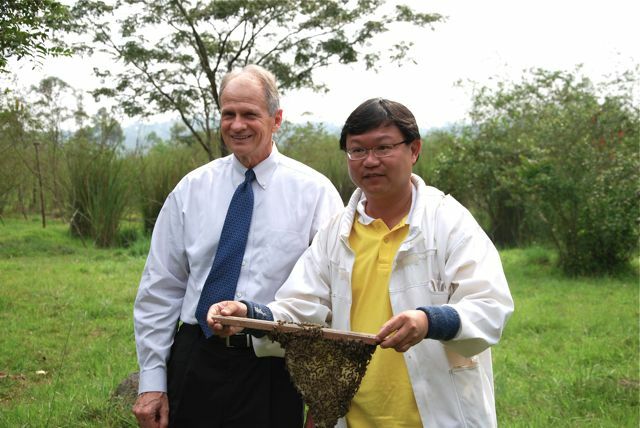 In the process, I got to know some beekeepers in Malaysia as well. 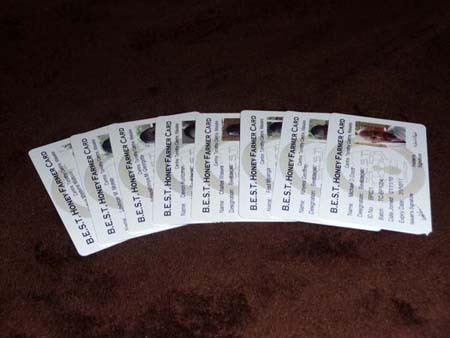 We had started to exchange notes and I am looking forward to visit their bee farm. Azman Ali and his bees. 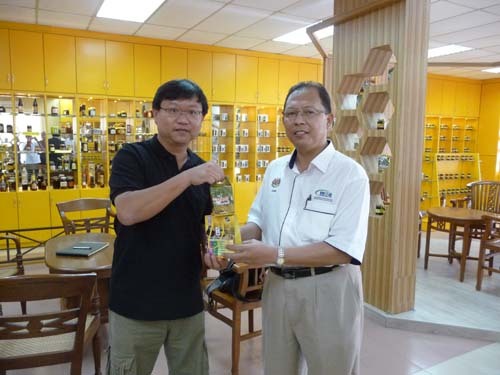 Azman and I began to share our passion mid of February this year and I am glad that I will soon be able to have a chance to see what beekeeping is about in Malaysia. 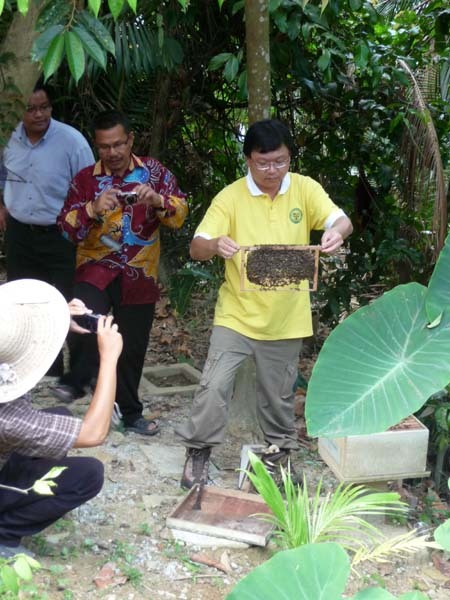 The species of honeybees that Azman is keeping is the one that I am keen to explore, Apis Cerenas. During my last two trips to Chiang Rai, North Thailand working with the Akhai tribes, there were also using the cerenas. Between the two, what I saw is that Azman is applying more of the modern method while the tribal folks are still keeping bees traditionally. 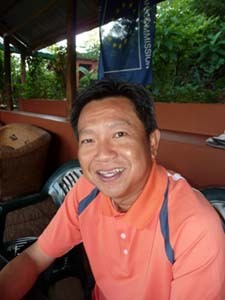 Azman's friend who is also a keen beekeeper. Apis Cerenas are slightly more aggressive than the European bees. They are indigenous and I believe domesticating them would be a beneficial move for the local bee farmers. They can be captured from the wild. 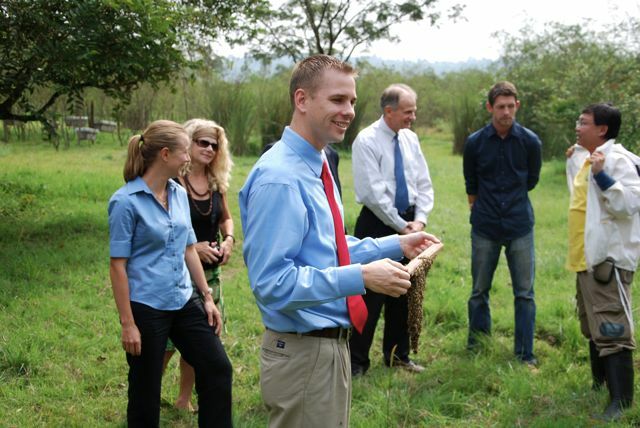 I am really excited to travel back, closer to home to share what I had learned during my stay in Uganda. After being a beekeeper, it had open up a whole new horizon and getting to know so many beekeepers out there who are playing their part in balancing the ecological system. I just hope that some beekeepers that had been mistreating these insects in the name of modernization will change their mindset and protect them rather than abusing them. 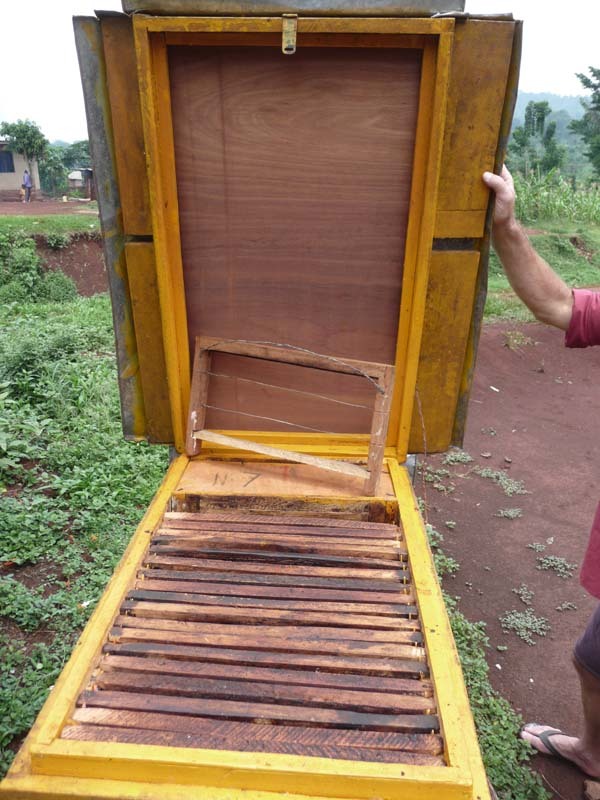 If you had read my previous post, you will find that such abusive skills are still being introduced in Uganda by these overseas commercial bee farmers coming here, highly paid by NGOs. 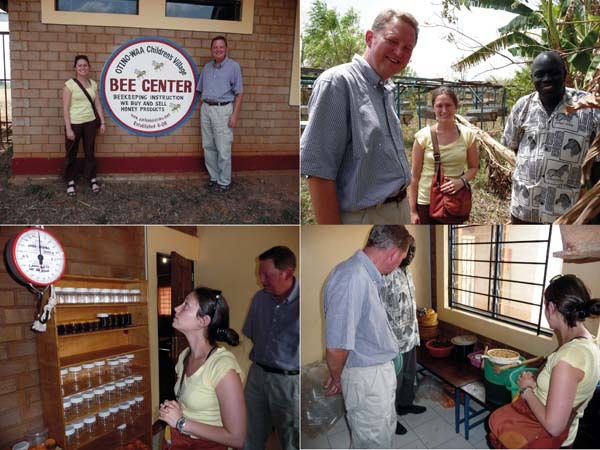 One thing sad about the local farmers in Uganda is that they always felt that overseas bee professionals are always right. They do not dare to question. 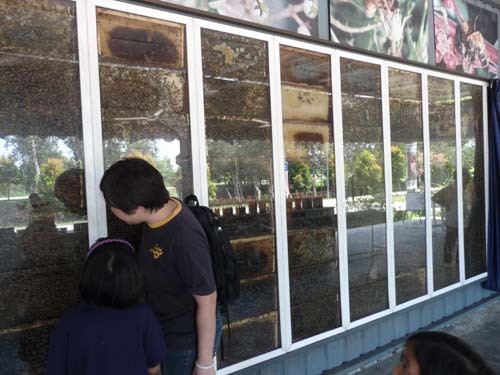 A bee hive for education purposes. 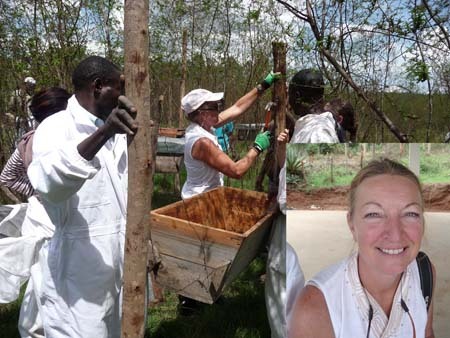 I could still remember a few years back, a team of beekeepers from USA came and said they wanted to help the local community. Actually from the way I look at it, they were just simply using this idea to raise funds so that they can come for a nice holiday. They have no experience in African bees yet they tried to teach the local folks. They got the whole village running for cover when the colonies turned aggressive. After that incident, I don’t see them coming back or doing any follow ups anymore. It was a nice holiday trip for them and those who had funded their trip just simply did it blindly. A waste of resources. Many honeybees are dying for no apparent reasons. I just wish that beekeepers must realize the seriousness and embark on natural beekeeping instead. Recently one of my student bought a few colonies from a local bee expert. He found one of his colony behaving strangely. They were all outside just below the entrance and on the grass. He was wondering what had happened. When I looked at the picture, immediately I knew that the queen had her wings clipped. What a sad sight! 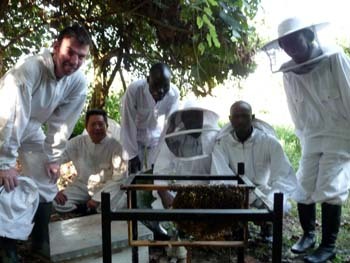 Many overseas “professional” beekeepers were paid handsomely by NGOs to come here to teach the locals on beekeeping. They would spend a few days showing them what they did back in their own country with their European species. After which off they go. 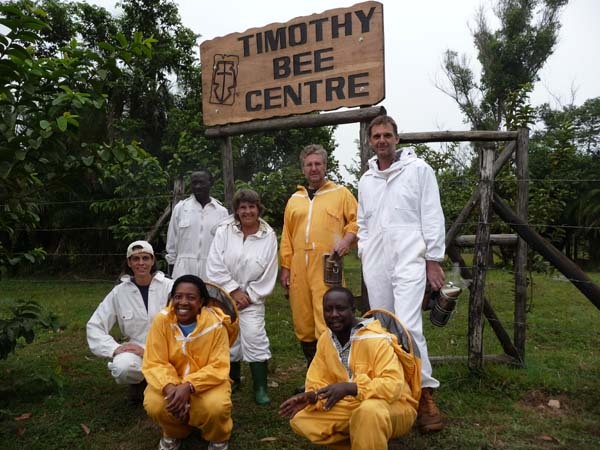 Most of these overseas beekeepers have no experience with African bees and have no idea how to curb the high absconding rate of African bees. And do you know what were their solutions? They teach these farmers to clip the wings of the queen to prevent them from absconding. What a stupid idea! Imagine if someone were to cut off both your legs against your will to prevent you from leaving, how would you feel. In other words, your defense system would be compromised and your chance of survival would be slimmer. I wonder why do they call themselves beekeepers when in actual fact, they show no empathy and well being for them. They mutilated the queen for their own convenience. There are other ways to prevent these poor little insects from absconding and yet, they chose the inhumane way. Honey bees, like all other living creatures, have it natural instinct that the hive is not suitable for them. It could be due to infestation of other predators or the food source is not there. There must be a reason why they need to abscond to a safer or better place. Just put yourself in their situation. I believe you will do the same thing. Take a look at the picture below. The queen tried to abscond but because her wings were clipped, she could not fly but fell onto the ground. The rest of the family followed. I can assure you that in no time, the whole colony will be consumed by predators. This will be the end of this colony. The queen's wing were clipped. She could not fly but instead fell to the ground. Her colony gathered around her. Death sentence by human. The beginning of the end for this colony. Not too long ago, I was approached by a beekeeper from overseas and she wanted me to join her workshop. She gave me a video showing her working with African bees. It was a total mess. The bees were literally attacking everyone in the class and I cannot imagine how many bees perished during her workshop. End of the video, it showed her proudly displaying a modified traditional bee hive that can never work with the harsh environment and the behavior of these African bees. 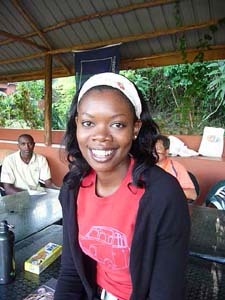 It was her first time in Africa and working with African bees. It was a very successful start for our B.E.S.T. program conducted at our new training centre at Kajjansi. We had yet to name this new centre. 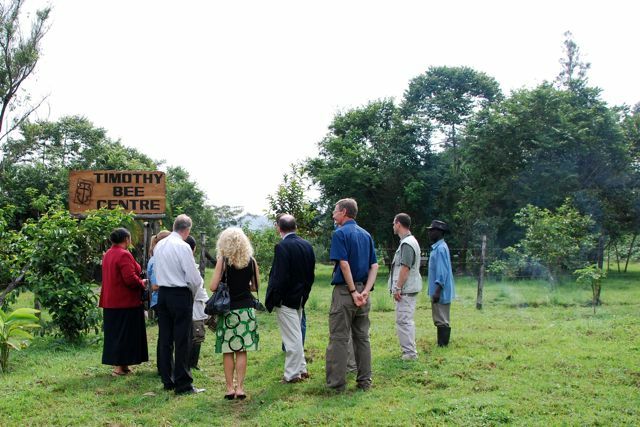 Although the setup was not as comprehensive as the one at Timothy Centre, but somehow all the unforeseen happenings made the lessons exciting. One participant accidentally broke a comb and we had to repair in order not to let the brood perished. 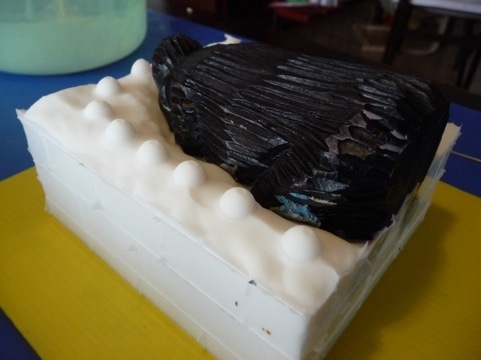 Another participant was not sensitive to the reaction to one of the colony that he continued to aggrevate them. They had seen how these ladies can be so aggressive when come to defending their nest. Feedbacks from our first batch of students for Kajjansi! 1. 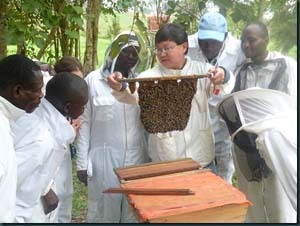 The trainer was very calm, knowledgable and had many years experience with African bees. This created confidence in the students. 2. The training facilities were very comfortable and appropriate. Very easy to get to. it’s convenient. 3. Because it was a small class, I felt that it was well contained and well attended to. 4. Because of the training methods, I felt safe. 7. I like the duration of the class. Not too long and not too short. Just right. 8. 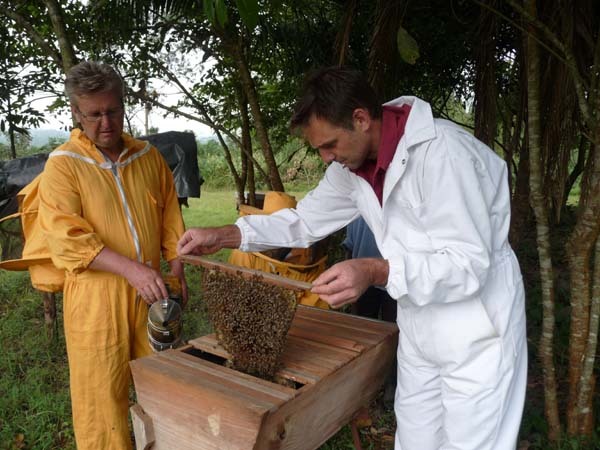 Most of all, I like that everyday we experienced the beekeeping through practical practices. From that we got our theory. I like the training as it helps me to really realise that beekeeping is not that scary as thought. This training is very systematic and this allows me to learn it step by step, what to do and what not to do. 1. The training had been practical that it makes you used to the bees. 2. Free interaction between the trainer and the trainee. 3. When the trainer is teaching, he is so clear and understandable. 4. The trainer is friendly. 5. 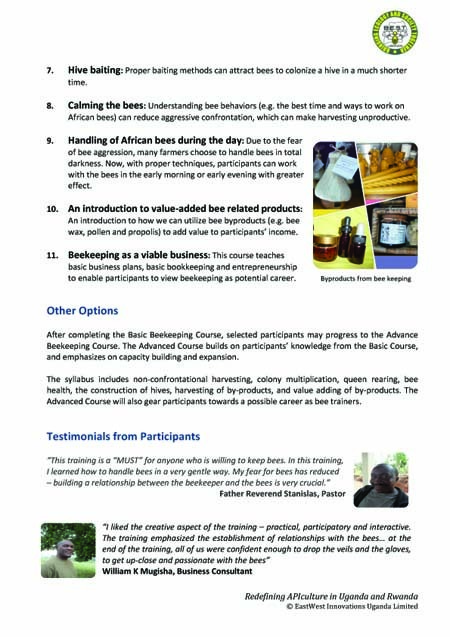 Am confident that I have got the relevant training and indeed I have got enough training to establish my bee farm. The program is slowly attracting the expatriates community who wanted to play their part not only in embarking on honey farming, but also in keeping the eco-system balance. This class saw a group of interesting and bubbly participants whom I can considered them the most interactive and inquisitive lot so far. 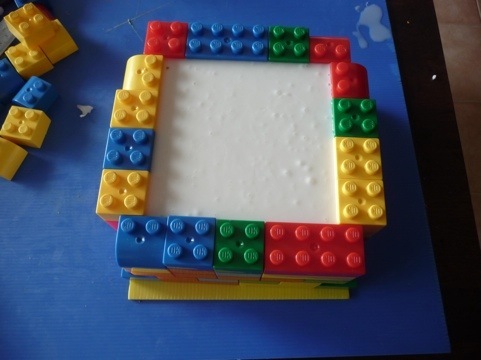 I was challenged a few times to demonstrate what I taught. That was good! This is the way to learn. It is no point having me talking and participant listening. Practical observation speaks for itself. Although we had a full registration for this class, it was disappointing to learn that a group of 5 from the local community did not turn up for the training although they were fully sponsored by an Organization. This shows the seriousness of wanting to progress. Anyway, its their losses. Tania holding a comb of African bees for the very first time. 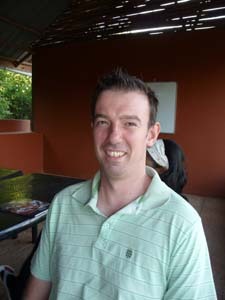 Colin Leenders – Hi Lesster, I would like to say that I enjoyed your bee keeping course very much. The week spent with you has changed the way I work WITH bees not against them which is what I have been doing in the past. I was amazed at how you can work with African bees using bare hands and not wearing head gear without being attacked and as we all know these bees have a lot of attitude. In the past when I have been working AGAINST them it was full on war as soon as the hive was opened and after it was closed. Also like the fact that the course was keep simple easy to understand and loads of information about bees and honey. When I say simple I mean that after reading loads about bee keeping it can sound complicated also there are plenty of incorrect information out there, which during the course has been explained and demonstrated. It is good to have loads of hands on learning with the bees and not all class room teaching. The classes are a good size. We had a good group which made it fun as well. Colin slowly lifting up brood comb for inspection. 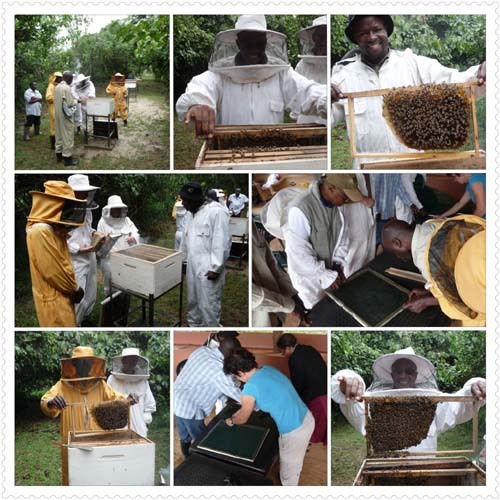 Gentle interaction with African bees makes beekeeping exciting and enjoyable. The class ended with a field trip on Friday. We visited an apiary where our former student had setup after the training. I was very proud of Fred and Madrine for the development. The apiary was very well done and bees are already colonizing and had even started the honey collection process. Traditional hives neatly placed in line for ease of management. 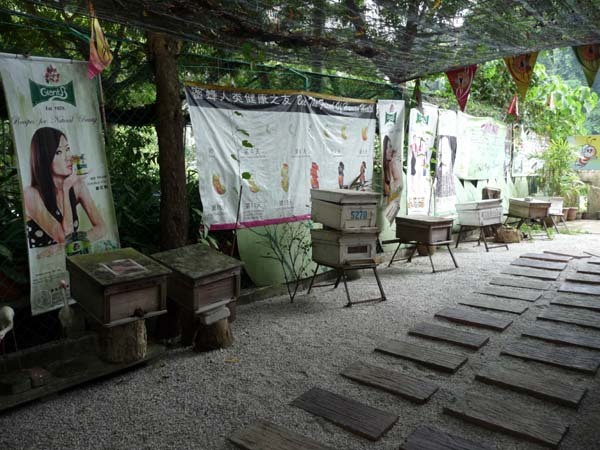 An impressive apiary with colonies busy with honey collections. Bee-utiful results from all the hardwork. 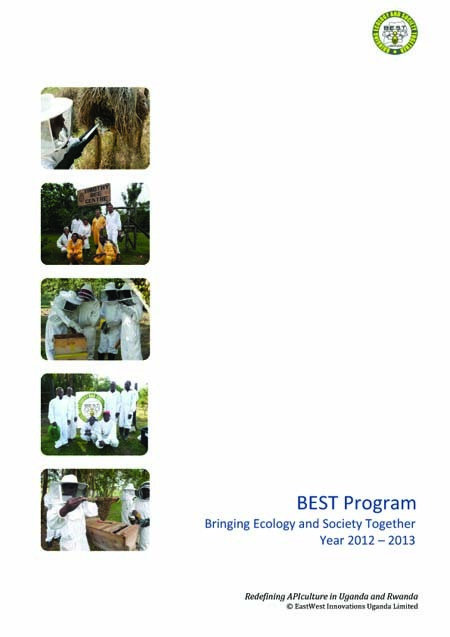 The art of African beekeeping. 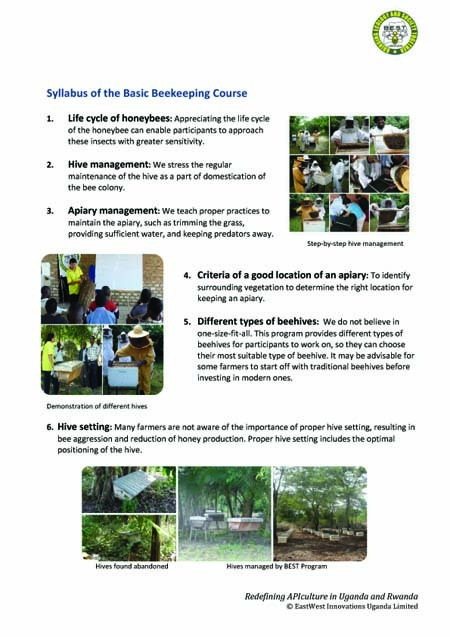 Beekeeping in Rwanda……..The feasibility study……………………. 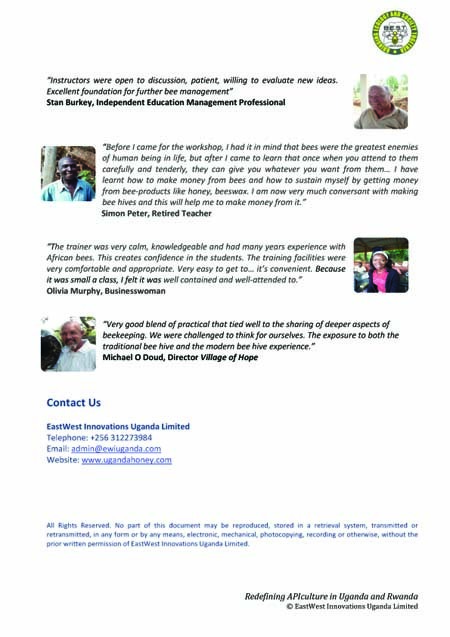 It was just like yesterday when I conducted feasibiltiy study on the honey industry in Uganda in 2001. 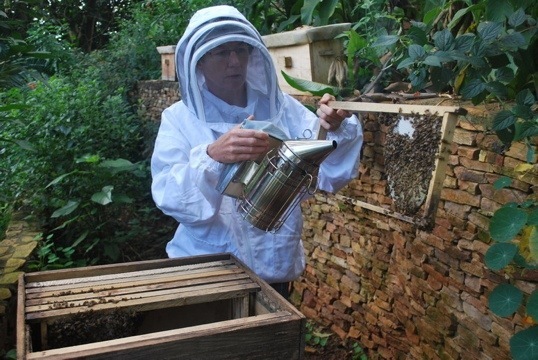 Rwanda beekeeping industry is still at an infant stage. There are so much room for growth. I was very impressed with the vegetations Rwanda has. Rwanda do have the potential to become a major honey player in the international scene. But then again, its easier said than done because my findings had seen a number of issues that requires serious interventions. If not it cannot bloom beyond the horizon. The rush into modernization without even knowing whether the farmers are ready for it is one of the serious issue. 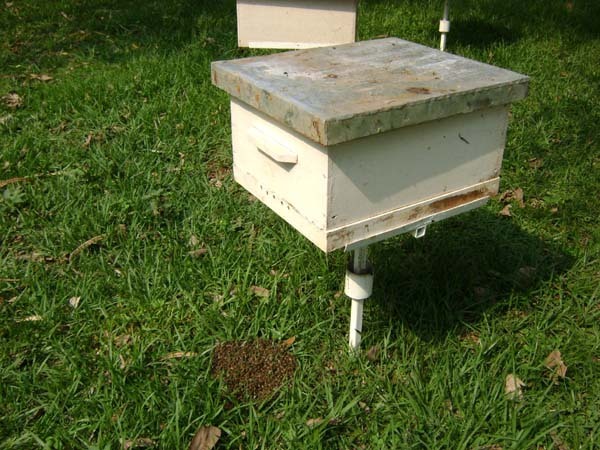 The lack of knowledge both on the behaviours of the african bees and the utilization of modern beehives will stunt the growth of this industry. I am not sure were there any financial planning in creating a sustainable enterprise being sensitized to the farmers before they embark on the business. 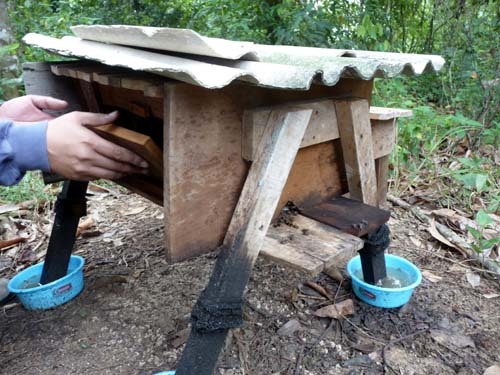 Farmers invested heavily in bee house but not knowing how to colonize hives. All sitting nicely but no where to go. The production of traditonal beehives were just digging a hole through a trunk without analyzing whether will there be rooms for proper harvesting. Prudent financial planning is needed in order for the farmer to start a beekeeping business. Without proper education, farmer's financial will be exhausted in buying expensive hives even before seeing some returns for a long time. 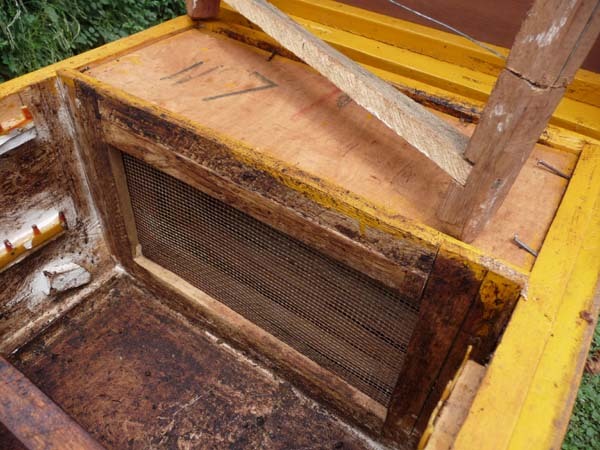 Regular hive management is required for langstroth. 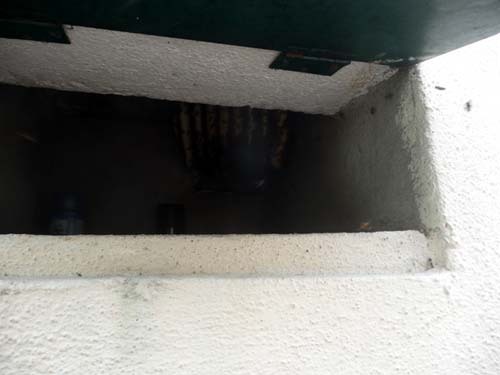 A small colony will never grow if temperature control is not observed for this kind of hive. 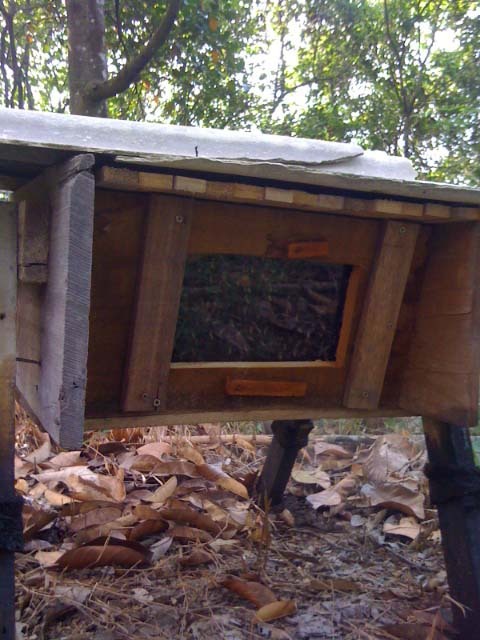 A modern langstroth beehive is supposed to increase the production and for easy handling of the bees. Here you see a langstroth bee hive being sealed completely with clay. The bees will definitely turn more aggressive when farmer tries to pry open the hive during inspection or if there were any regular inspection at all. The bees are naturally more aggressive than the european bees, but they are made even more aggressive if the farmer were to handle the hive with so much disturbance and movements. A modern beehive is a double edge sword. 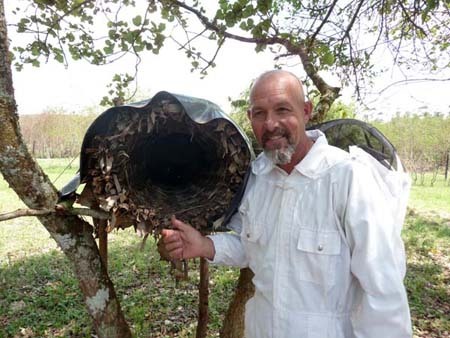 It can produce 3 times more than a traditional beehive if managed properly, but it can also be a white elephant if it was use without proper know how. Bad handling of bees lead to aggressive behaviour. Aggressive bees make harvesting difficult. Farmers start to rush through harvesting using a lot of smoke. Bees become even more agressive with so much smoke. Farmer start killing bees. 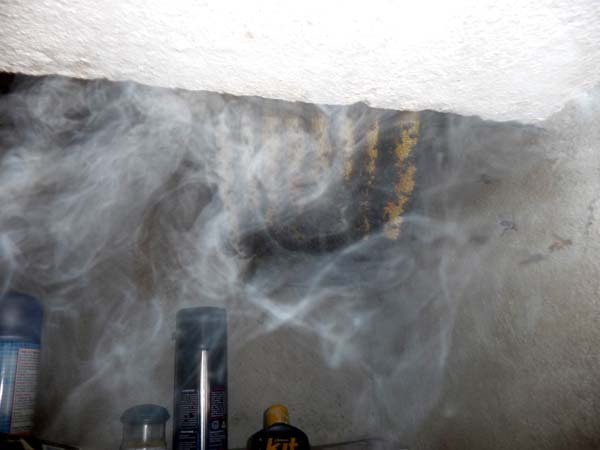 The hive will be filled with smoke thus making the honey taste smokey. Many contaminants are deposited onto honey. Quality drops. Honey will not be able to meet the necessary requirements. Think of the process, not the outcome. If the process is right, the outcome will be right. Wishing all a very happy and prosperous 2011! Another year is soon to pass. 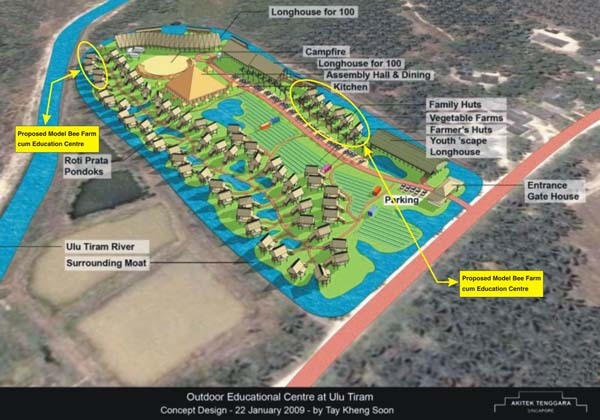 2010 saw many exciting happenings in the development. Looking forward to see what’s in store for 2011. Ready……get set………. My share of pain and experience……………………. 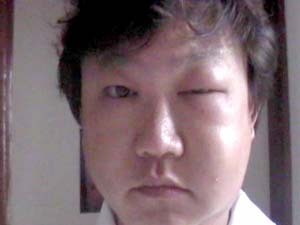 Aftermath of visiting african bees without knowing their prowess. Picture taken in 2001. Many had not seen the tough times that I had gone through with the bees here. 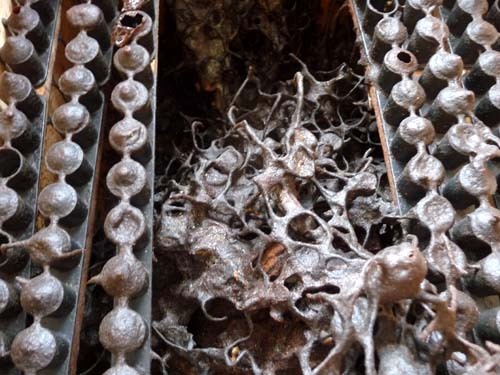 This was the result for not handling Api Meliferra Scutellata well. I had this picture taken way back in 2001 when I still had not much experience and knowing the aggressiveness of this species. It was after 4 days when the swell had subsided before I could take this picture. I had about 40 stings on my face from this stunt of not respecting and donning my bee suit. I recalled having my first colony behind my backyard. Every evening when dark fell, I would put on my bee suit, veil and glove. I would light my smoker, grab my hive tool and brush, all ready to face the african bees. All dressed up not knowing what to do and expect. Every time I tried to open the hive, the whole colony would simply “pour” themselves out of the hive, crawling all over my body. I would use the brush to brush them off, making them even more aggressive. After an hour, I would give up, slammed the cover and literally crushed all the bees that were out. Come next morning, no one could walk near the hive. They would still be hovering around the hive, attacking any moving creatures that had gone near their habitat. Practice only makes a habit.....CONSTANT practice makes perfect! Picture taken in Nov 2010. Last Friday morning, we visited some of our trainees to see how far had they gone with our training. It was indeed a very nice surprise when we met with Simon Peter and his family. When we arrived at his place, he was in his working clothes, out in the field. He was happy to see us and was so enthusiastic that we were there. 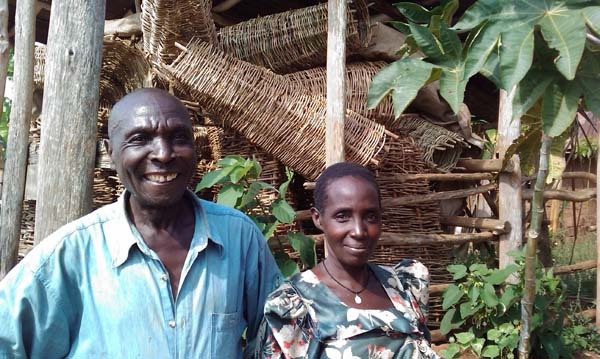 Immediately he led us to one of his shade to show us what he had done – 20 local bee hives! He was in the midst of identifying a suitable plot of land to start his apiary. Simon is also a brick maker. 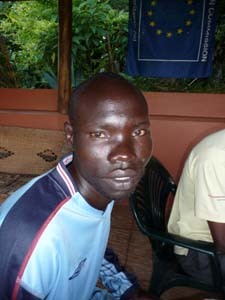 He told us that once he is able to get some income from his selling of his bricks, he will start his apiary. To me this was very motivational. The effort that all had put in had not gone to waste. Although the results are slow, but there are results from the training. Nothing is more satisfying than to see the participants benefitting from the program. I am proud to have Simon as one of our BEST farmer. Simon and wife, the beginning of a success story. 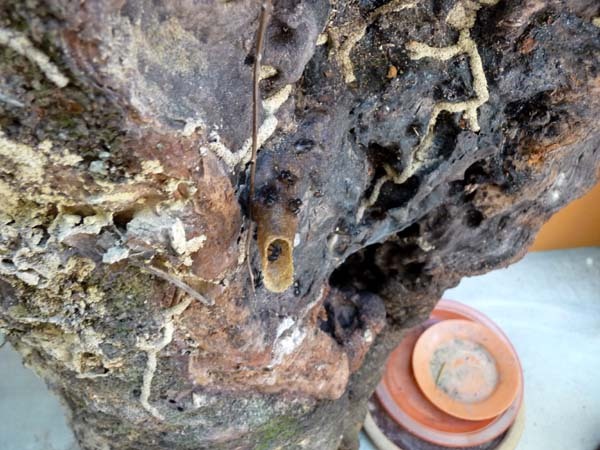 Transferring a colony in a badly rotten hive……………………. Part of the training program at BEST, we will have a display of a colony hiving in an old rotten bee hive. In order for this colony to survive in this harsh environment, it literally fabricate a layer of wall of propolis to reduce the opening. 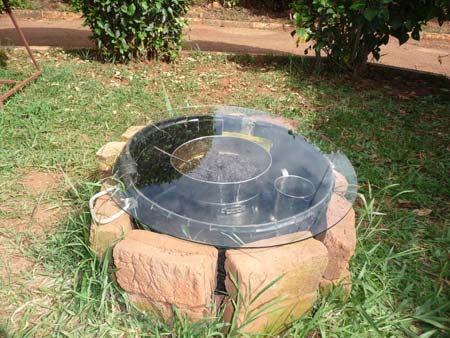 This is to prevent large predators like rats and snakes to enter the hive. 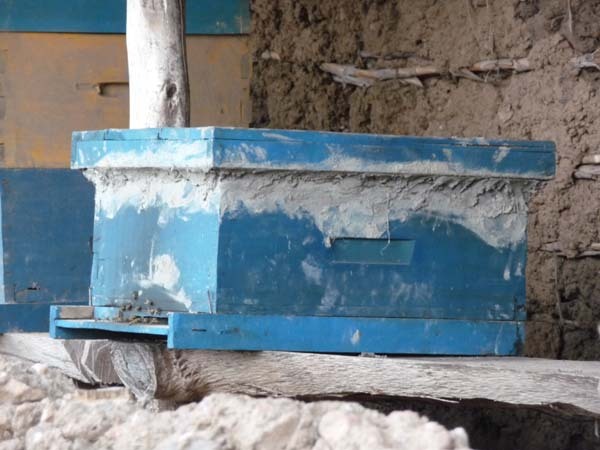 Many farmers experienced bees absconding and their reason was that the hive was not good enough for them to stay. This is not true. So long as the food supply is there and there are not much predators disturbing the hive, they will stay. 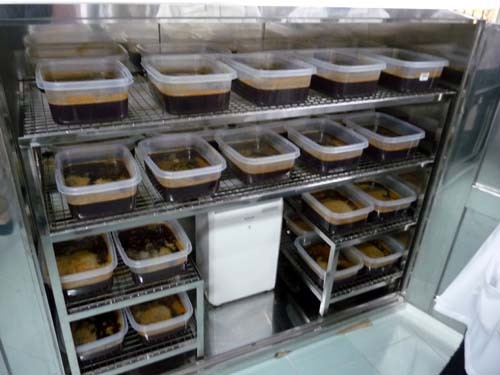 We had adopted this colony so that we can use this colony as training exhibit showing how tough the situation the African honeybees can endure and same time use it to conduct lessons on colony multiplication. 10 Valuable Life & Business Lessons You Can Learn from Bees……………………. Bees are more smart than scary, and instead of wasting time running away from them, we should start studying them. 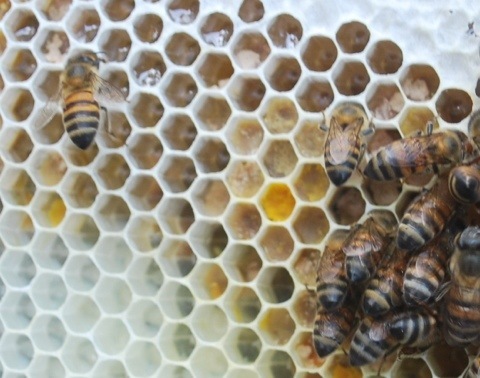 Their life and business lessons rival the strategies taught at some of the best colleges out there, so check out this list of 10 skills you can learn from bees. They’re expert communicators: Bees triangulate distances and direction, and are in continuous contact with their hives as they search for food sources. They’re not off “hunting” for themselves; instead, bees never seem to break contact with the group and keep each other informed to stay alive and recruit other bees to help them collect pollen where it’s most plentiful. Can you imagine if there were no secret stashes or ulterior motives in business? Bees are associative learners: Bees never stop learning and use natural forces to direct their actions in terms of finding food and monitoring the environment. They continue to visit the types of flowers that consistently offer them rewards, noting color and odor, and then effectively ditch them if weather patterns or other elements make the reward harder to obtain in search of other flowers. If we could learn as quickly, and then let go of past processes in order to move forward, we’d be profit-making machines, no exceptions. The more, the merrier. And the more productive: Swarms of bees result in a very social insect, promoting flexibility and adaptability, robustness, and self-organization, according to AskNature.org. Scientists have found that when surrounded by a pack, bees that “fail,” don’t cause major problems because all the others pick up the slack. Innovation, optimization and streamlined processes result from self-organization, which seems to naturally occur in swarms. They have different jobs and stick to them: It’s a controversial lesson in efficiency, and one that’s often rejected in the United States, where cross-mobility is appreciated. But bee colonies have a strict hierarchy and class system, and the hive works so well because worker bees sting and forage, male drones mate, house bees build the honeycomb and tend to the queen, and so on. Their product is attractive to many industries: Bees don’t just make the honey you put on your ice cream. Their wax is used for cosmetics, religious products and lots of food products, and they also pollinate plants and even whole orchards. Furthermore, their honeycombs and hives are still inspiring architects today because of their complexity and relative durability. What’s the business lesson here? Always aim to create a product and/or service that’s attractive and even necessary for lots of industries and customers, making your company indispensable and practically invulnerable. They’re highly adaptable to even drastic changes: Bees that have been relocated thousands of miles — from Hawaii to Louisiana in this case — are still able to locate and collect pollen in just an hour. New locations, temperatures and environments don’t sway their end goal or bottom line. They continue to evolve: Scientists believe that honeybees first spawned 130 million years ago, during the landmass of Gondwana. After the breakup of the landmass, some honeybees became extinct, but most have evolved and sub-speciated according to their new environments. Even after continent break-ups and climate changes, bees are still around and working just as furiously. Age levels are directly related to work habits: Bees delegate different jobs according to age level, showing an understanding for natural ability, stamina and practice. Young bees, for instance, aren’t allowed out into the field unless there has been a serious blow to the population. Would you want your brand new intern making independent sales calls on his first day? 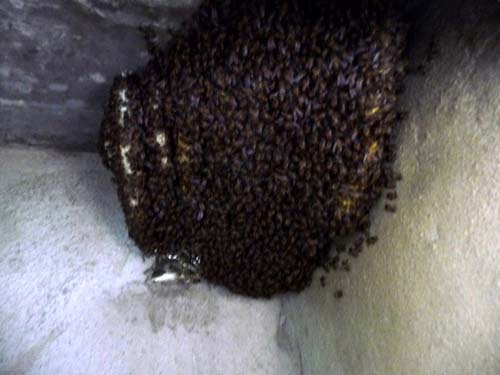 Take a cue from the bees and associate new workers with “housekeeping” for the first few weeks. Bees depend on their queen: Every colony or company needs a strong leader. 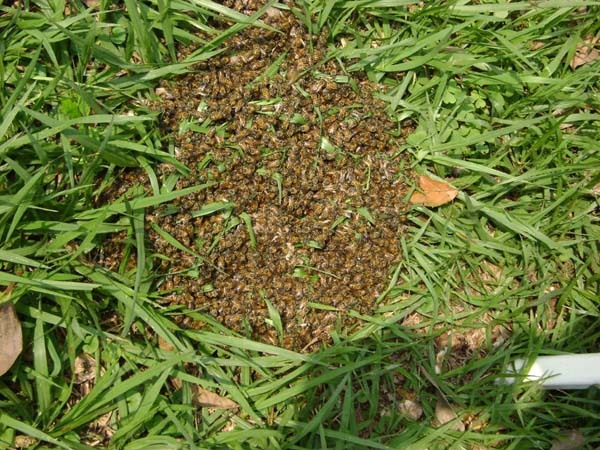 When queen bees are absent or have died, bees start squabbling and are less organized. During the interim between queens, colony morale is down, and honey production is lower. Even the mere presence of a strong leader (hint: you don’t have to micromanage) is vital to directing workers. Bees have an innate sense of responsibility and a desire to work: While you can’t force an instinct upon someone else, you can train employees to almost instinctively notice when work needs to be done, minimizing wasted time and micro-mangement. Bees start working a few hours after they’re born, noticing the dirty cells that need to be cleaned around them and eventually moving on to clean the queen, guard the hive, and forage for pollen and nectar, and contribute in any way that’s needed.